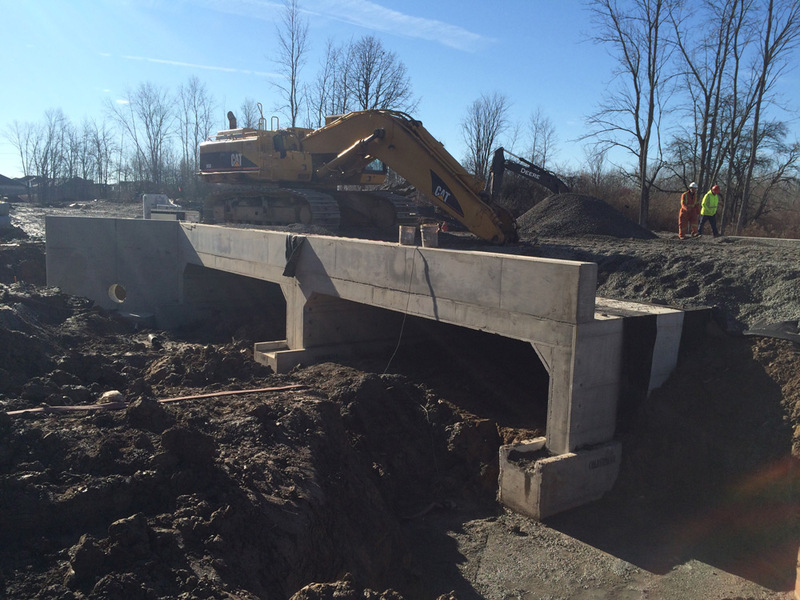 In the fall of 2015 Coldstream Concrete supplied a project to Gibbons Contracting Ltd in the City of Welland, Ontario. 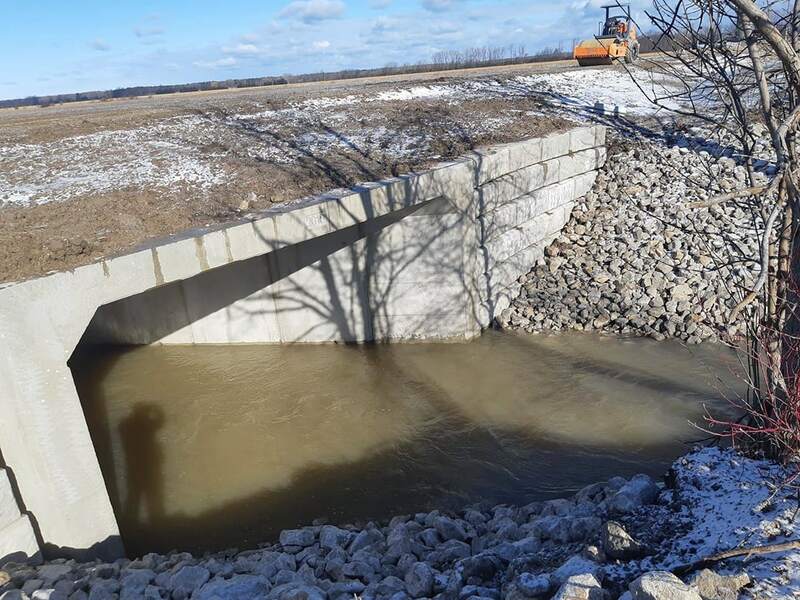 It consisted of a double run – open bottom box culvert with a span of 7.316m and a rise of 1.524m. 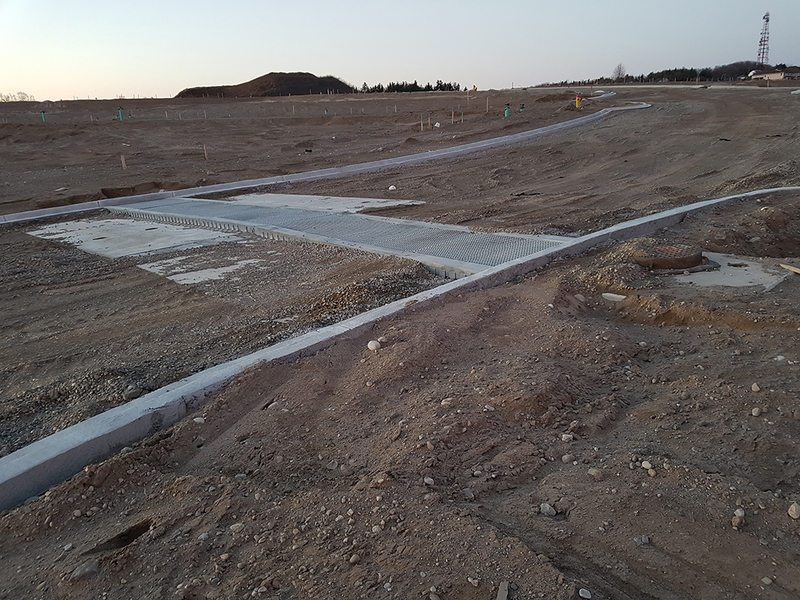 The 9.0m wide road joined two subdivisions together in an area with extreme high water tables and poor soils. 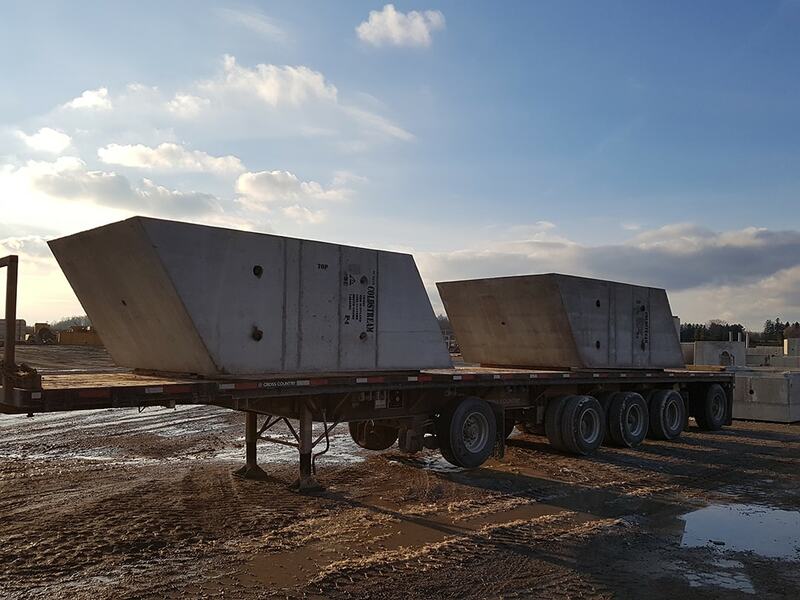 This all precast job consisted of 24 precast footing units, 24 precast open bottom box units and 8 different sized wing wall units. 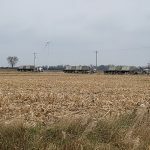 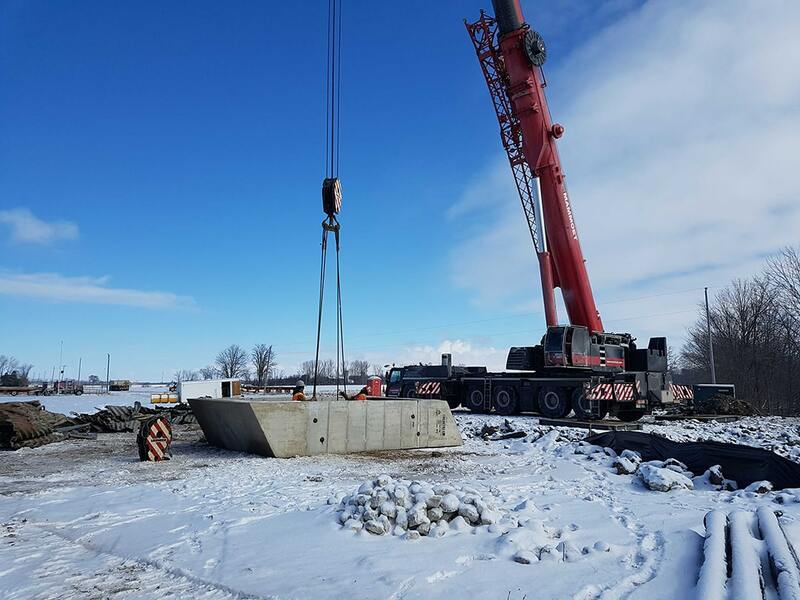 The total precast installation time in late fall was 3 days. 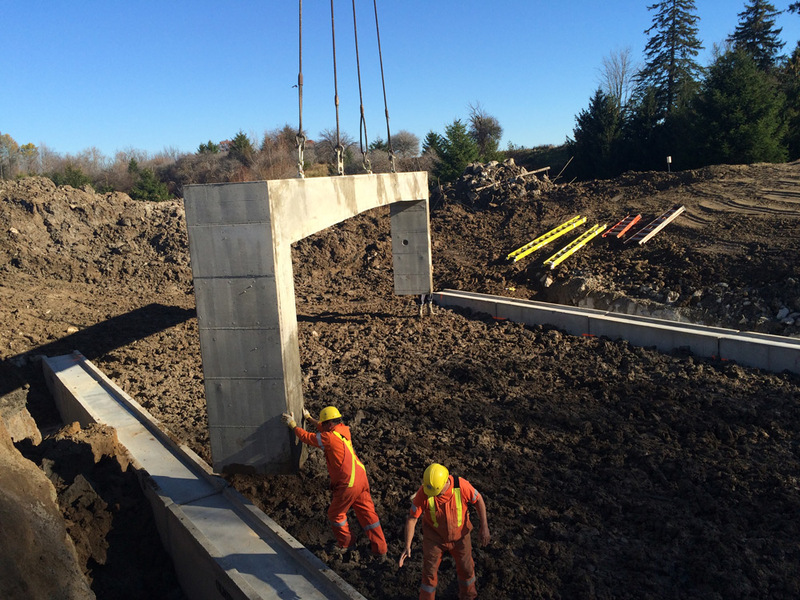 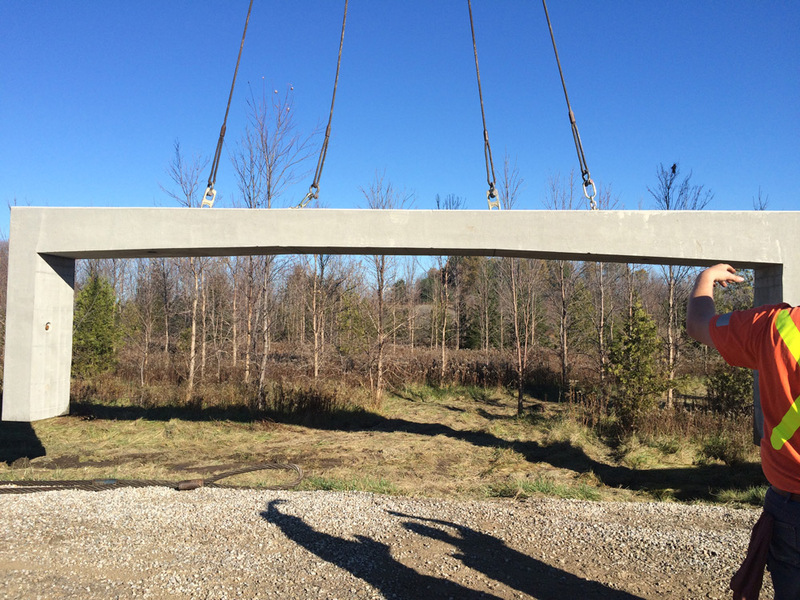 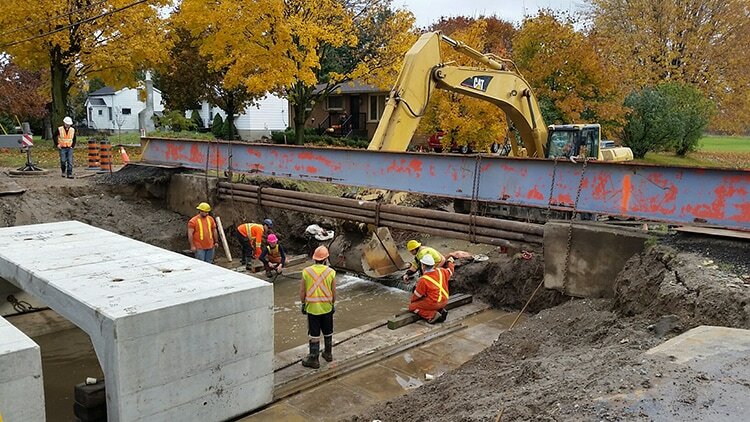 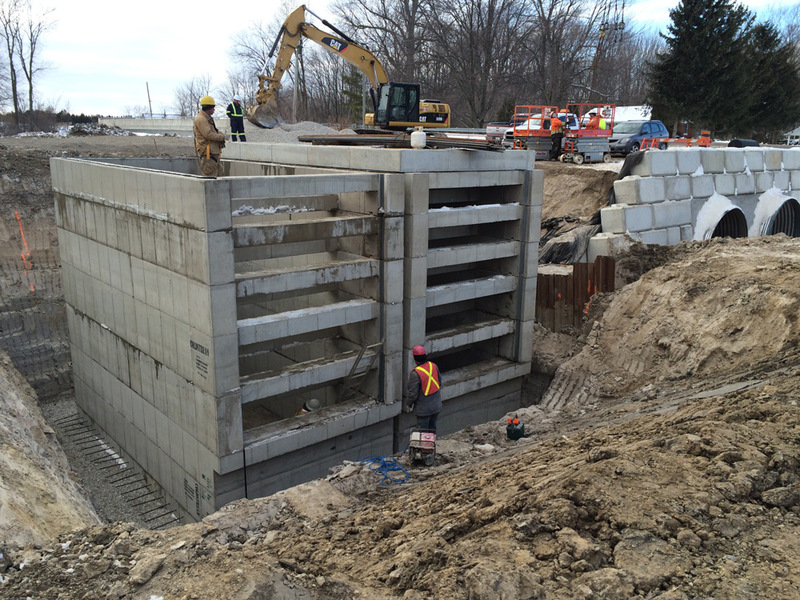 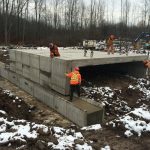 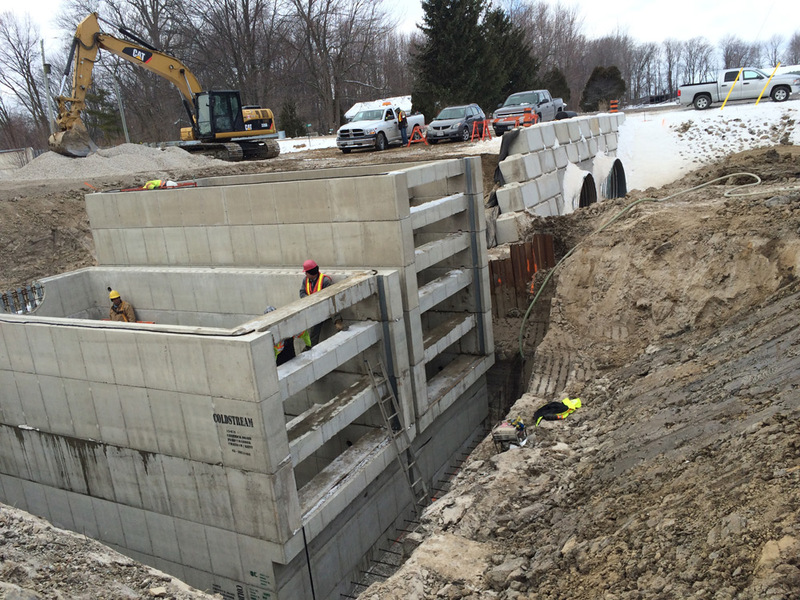 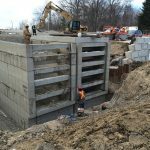 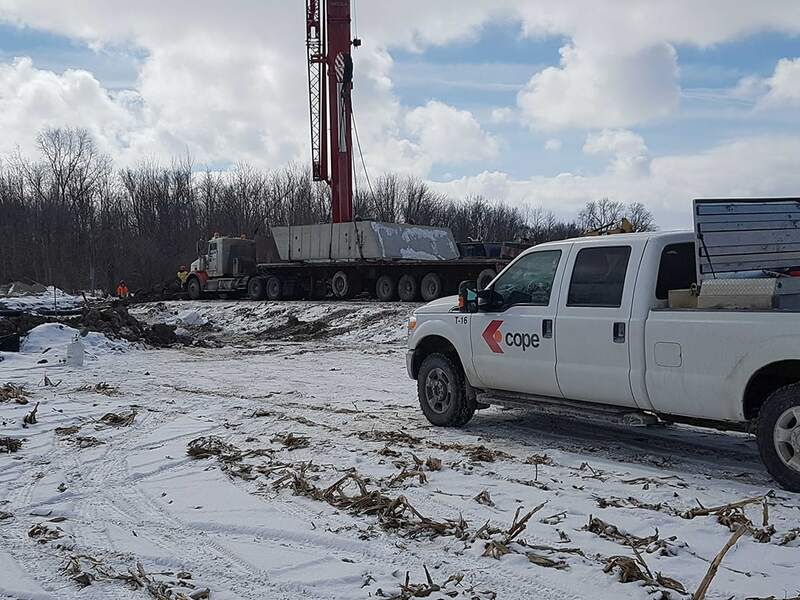 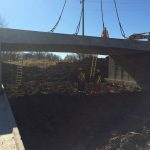 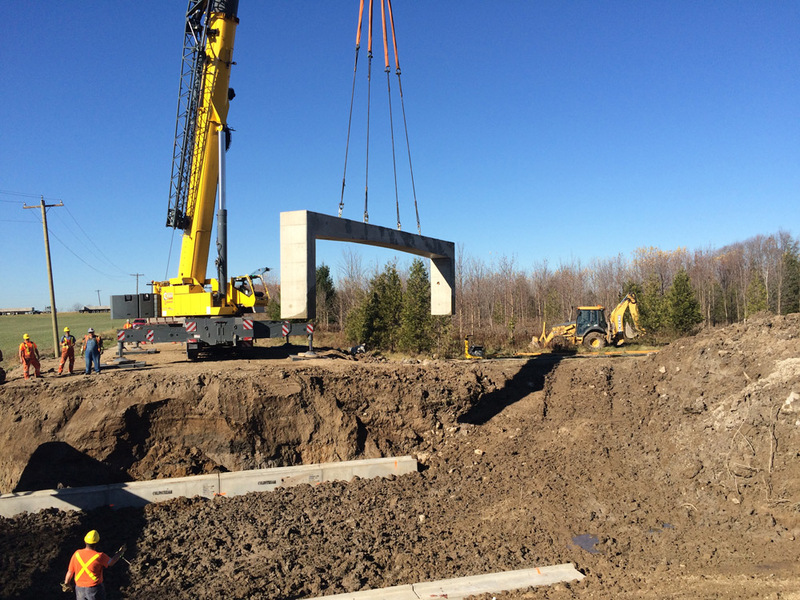 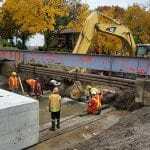 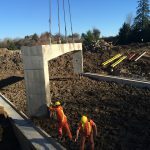 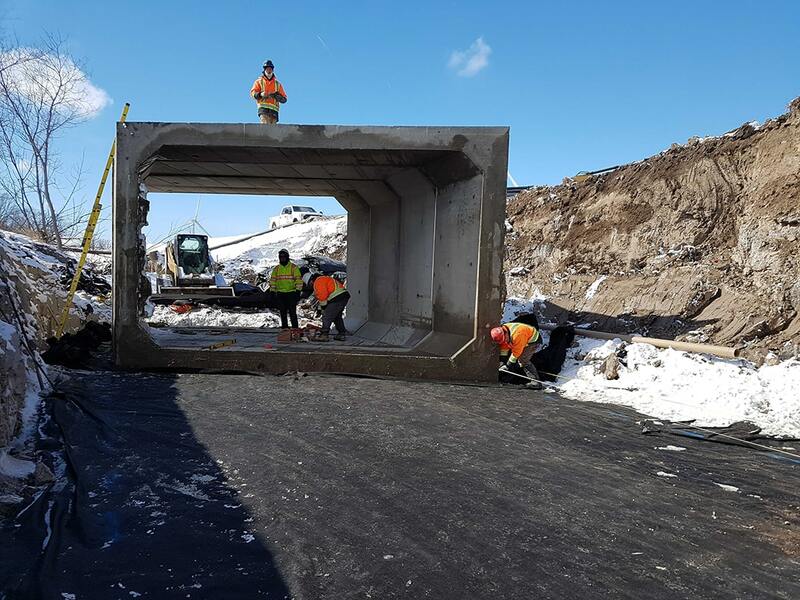 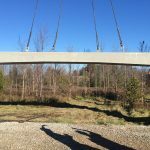 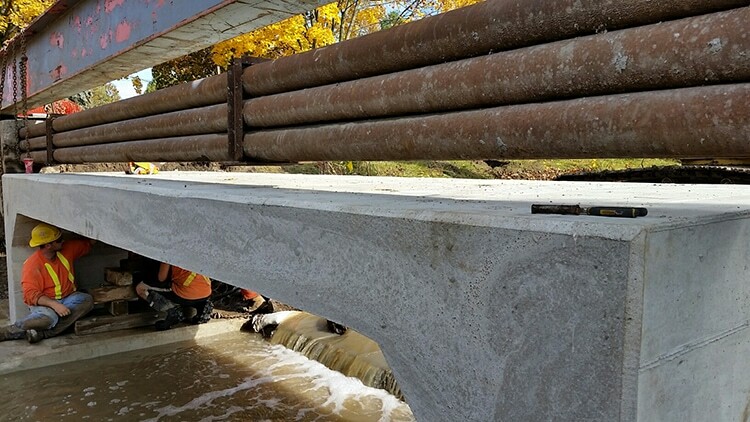 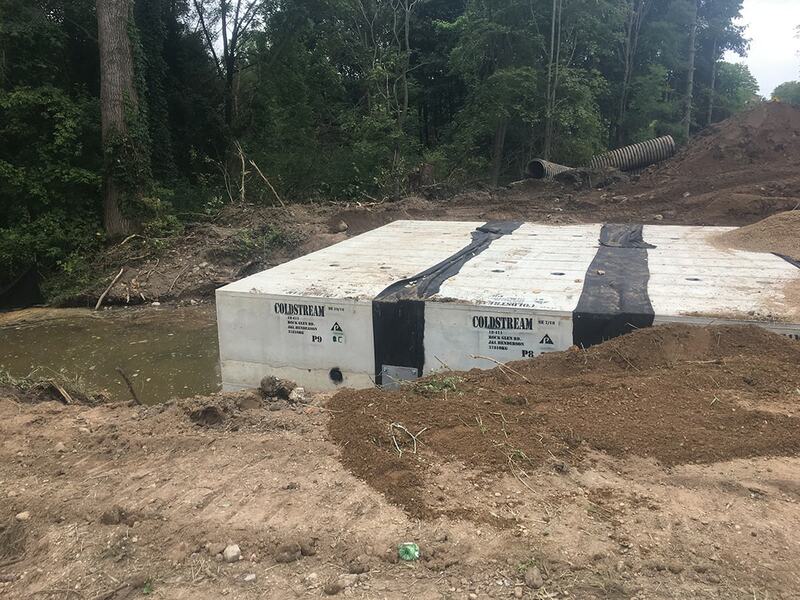 On October 15, 2015 Coldstream Concrete supplied an open bottom precast culvert that had a 11.5m span and 3.5m rise to the County of Central Elgin. 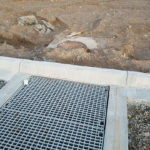 Relatively dry conditions were very helpful during the installation due to the size of the watercourse and excavation. 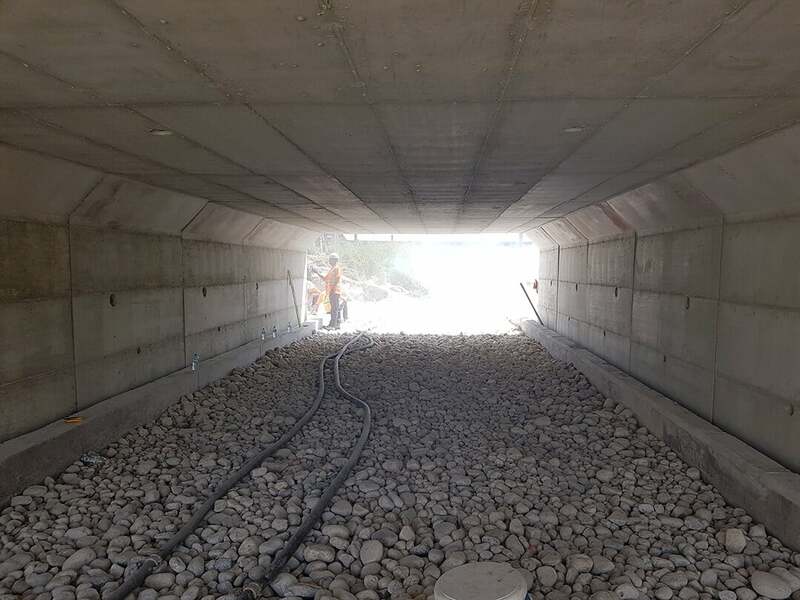 The culvert consisted of 15 units to create a 16m wide roadway. 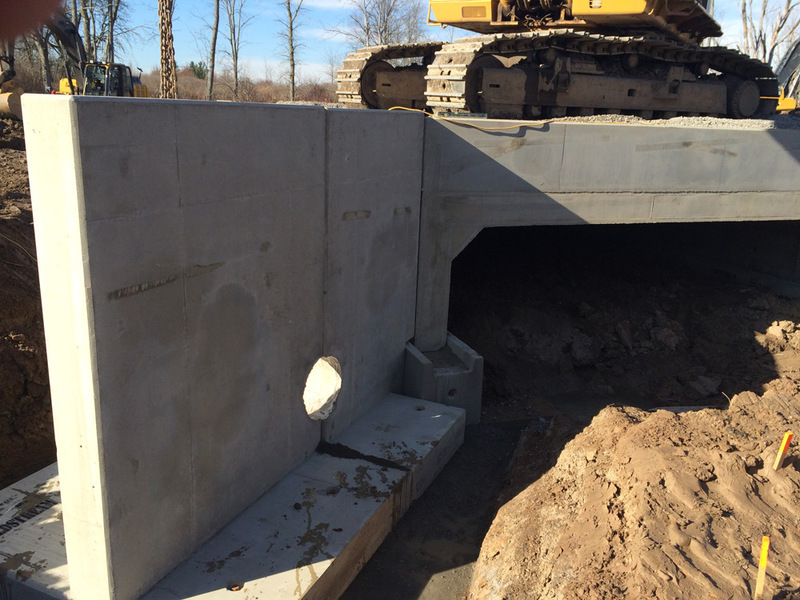 This single structure replaced a design for a dual box culvert. 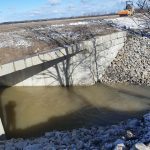 This is turn reduced the total project cost and created better watercourse flow. 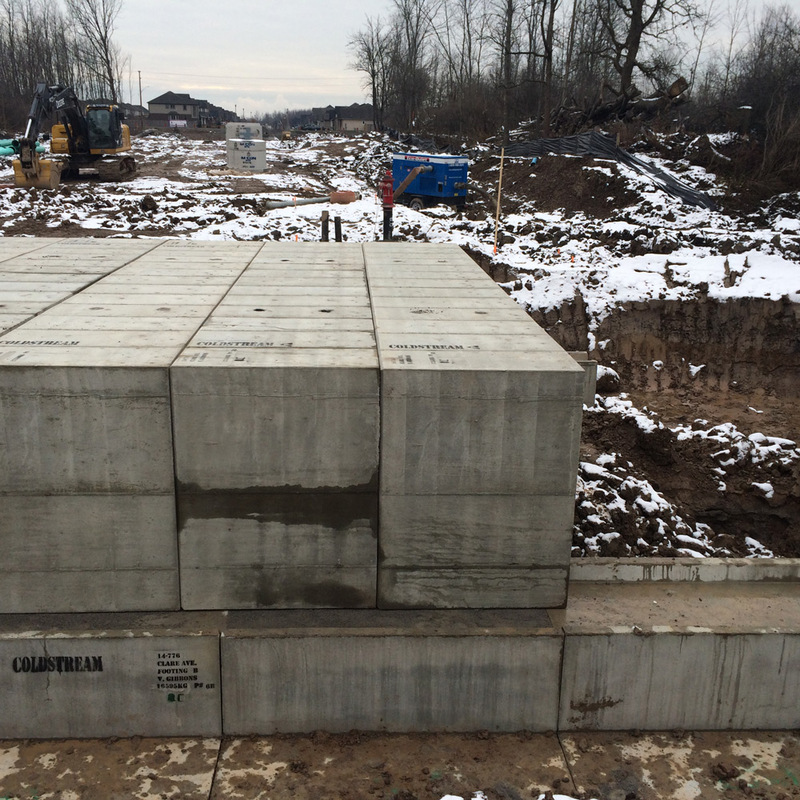 Coldstream also supplied precast concrete footings. 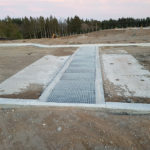 The total installation time for footing and bridge elements was under 2 day. 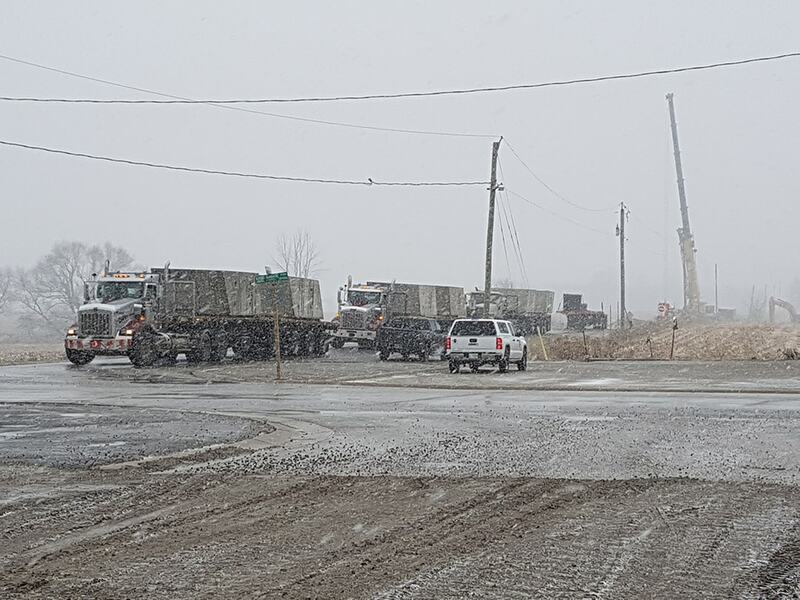 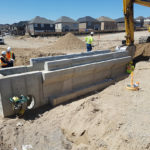 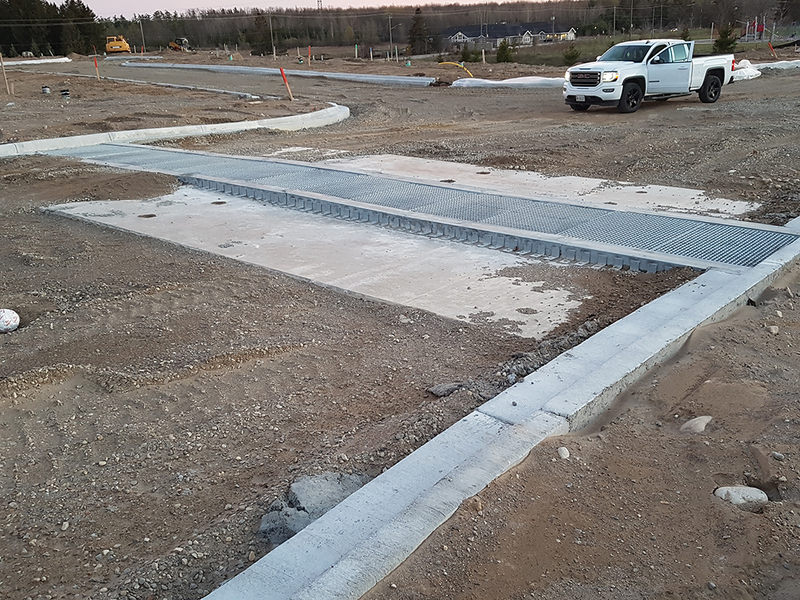 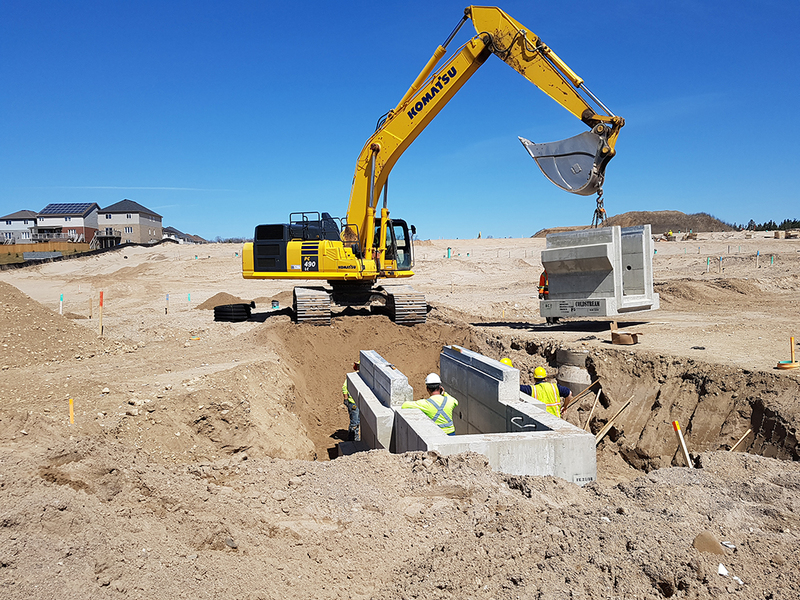 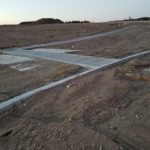 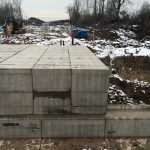 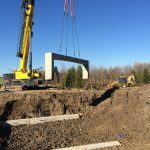 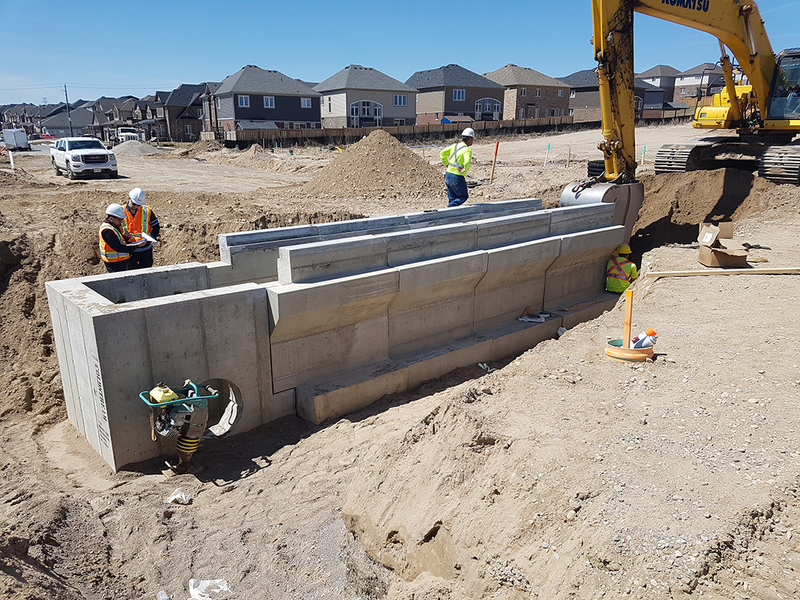 On May 23, 2018 Coldstream Concrete Ltd. supplied a seven-piece precast concrete trench complete with approach slabs and maintenance chamber to the Ormston Subdivision in Kitchener, Ontario. 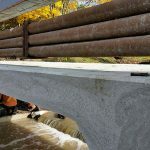 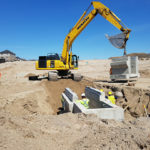 The trench and all of its components were constructed using epoxy reinforcement and came equipped with concrete corbels on either side to support the precast approach slabs. 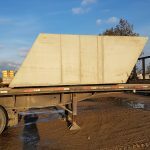 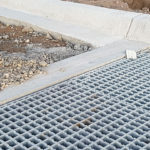 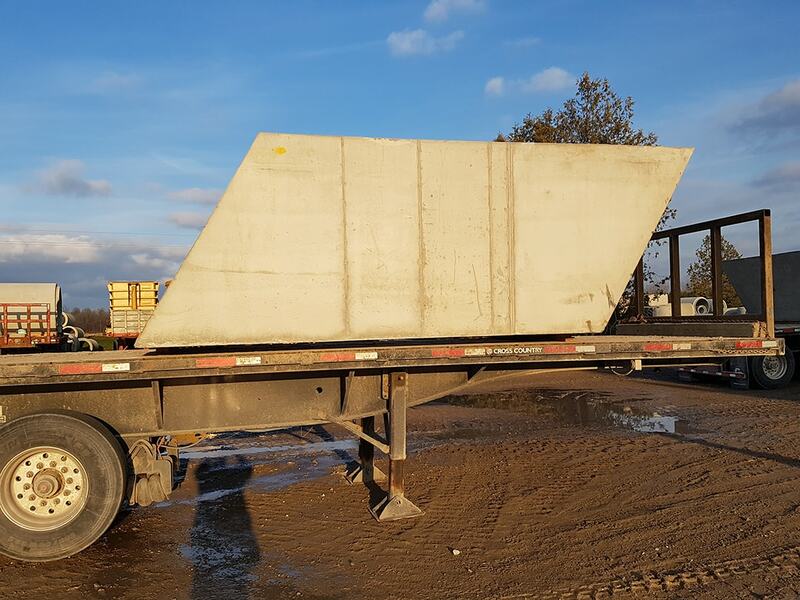 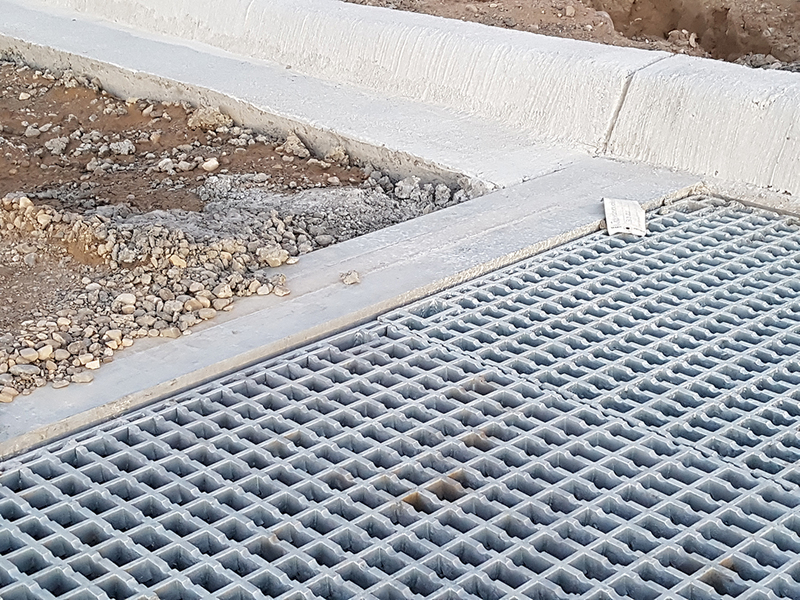 Each trench piece has 6 separate galvanized steel angles cast into the concrete corners for protection and roadway grating. 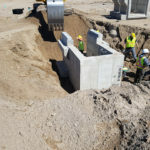 The trench was installed and backfilled in less than two days. 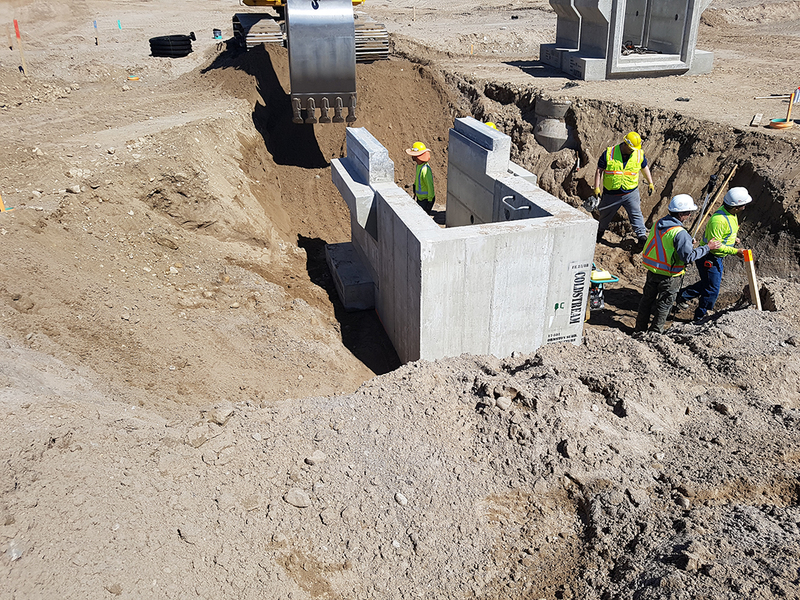 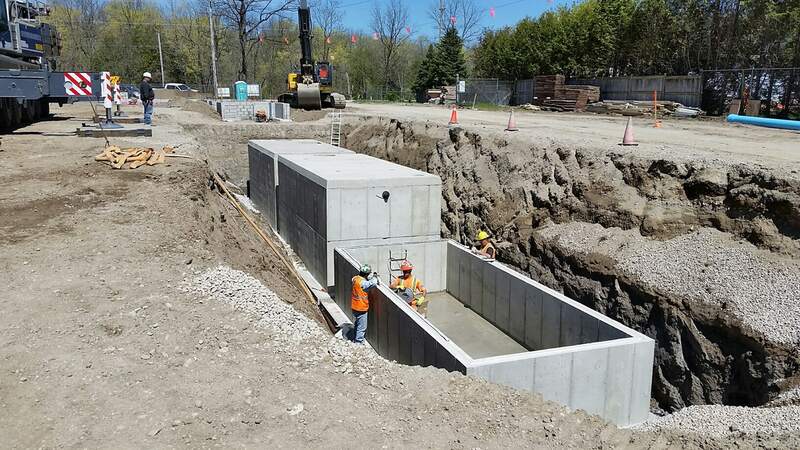 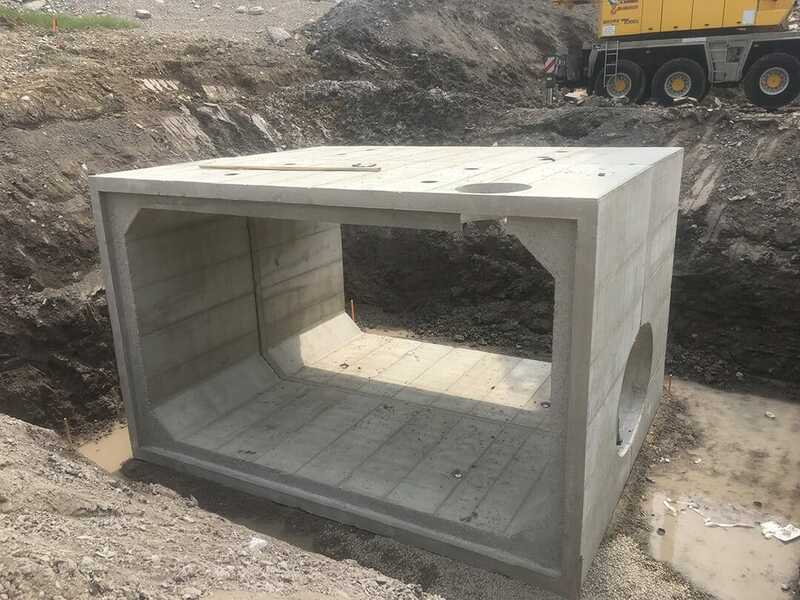 On July 11th Coldstream Concrete Ltd. supplied a 12-piece “all skewed box culvert” for the town of Plympton-Wyoming. 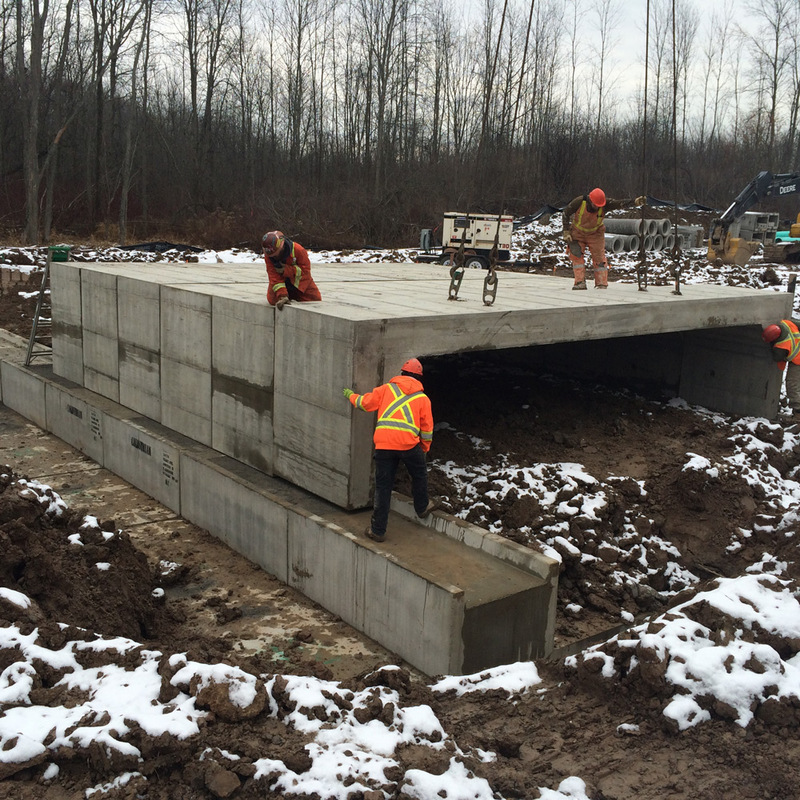 Each piece of he 3.6m span by 2.1m rise box culvert was constructed on a 30-degree skew. 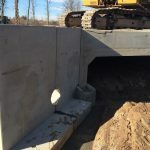 This was done in order to avoid large/heavy end units which are typical for precast skewed end culverts. 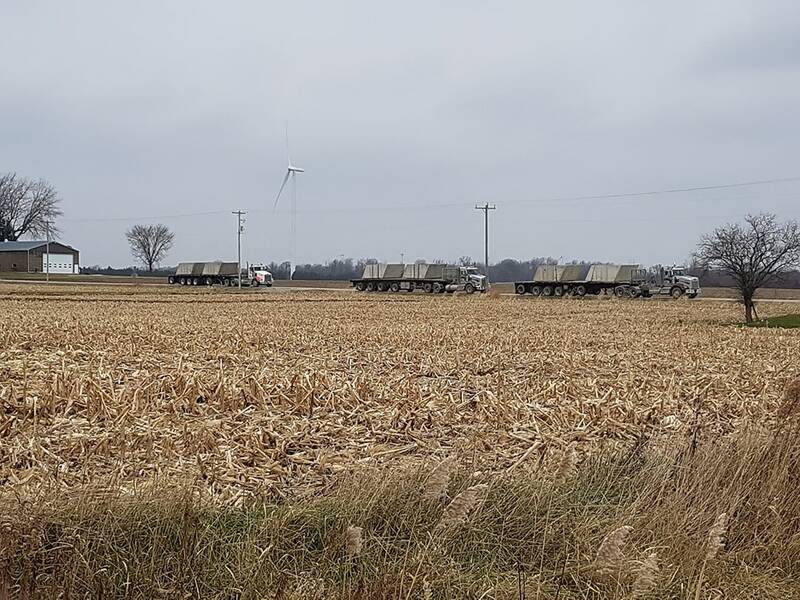 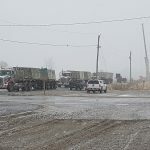 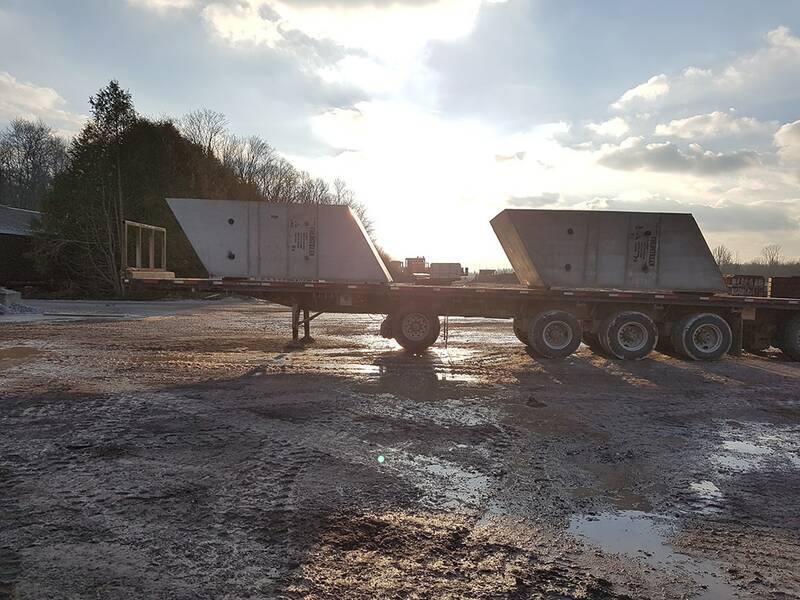 Due to the fact that all pieces where designed to the same physical dimension (without large heavy end units) all 12 pieces were installed quickly and safely by 2pm the day they were delivered. 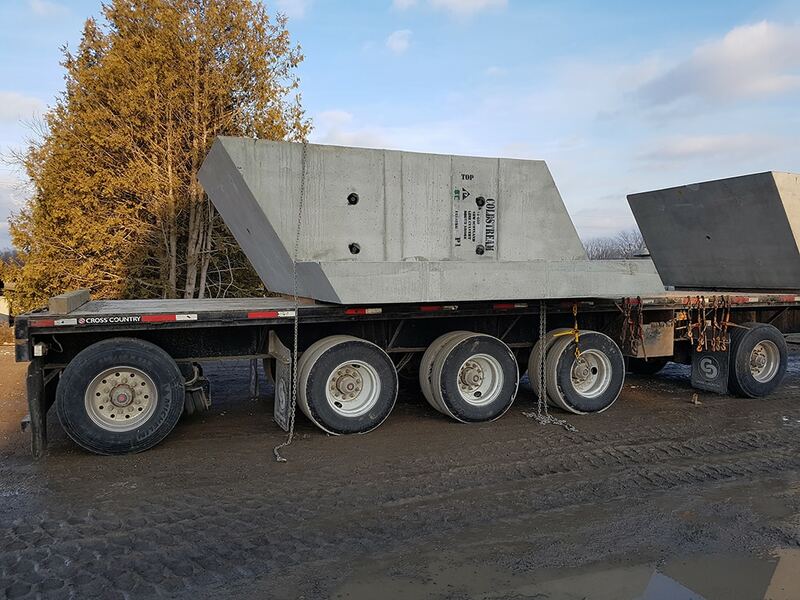 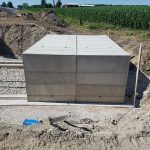 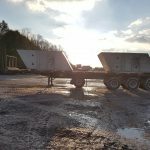 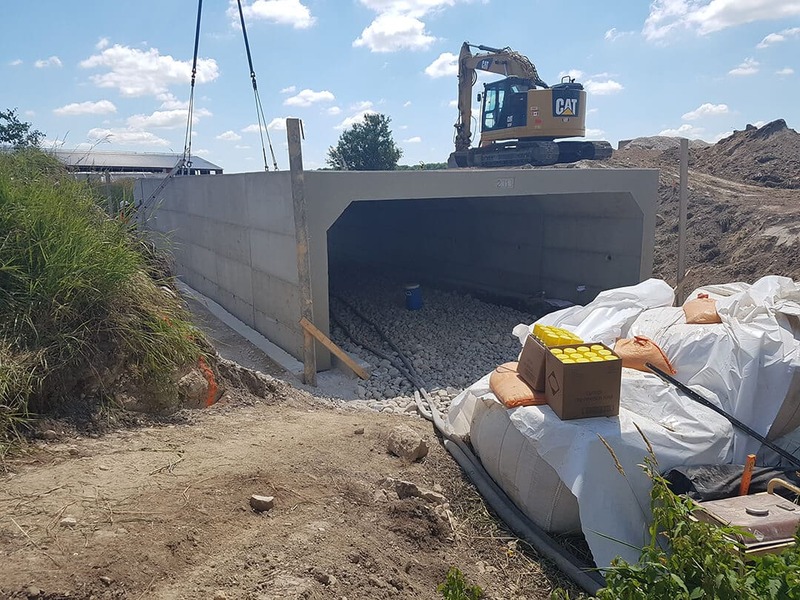 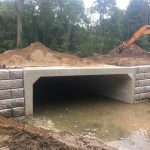 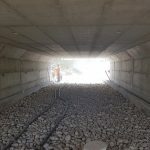 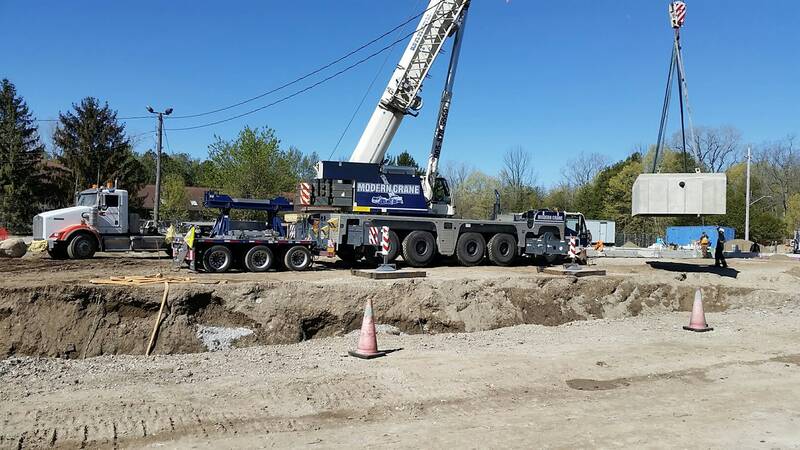 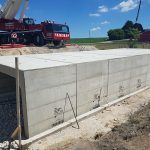 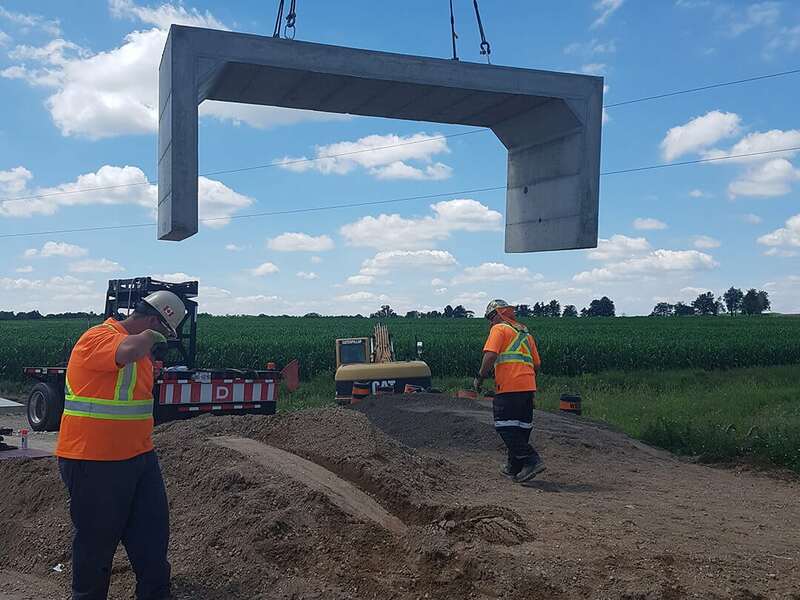 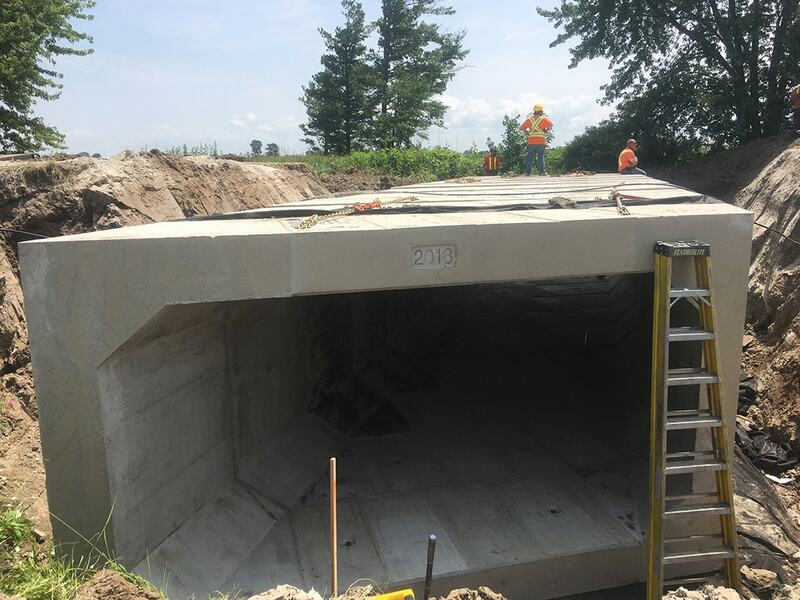 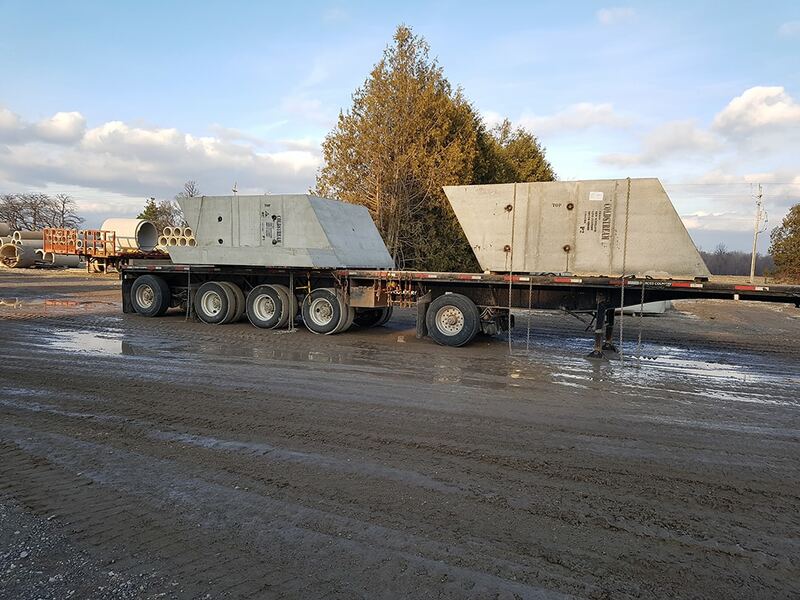 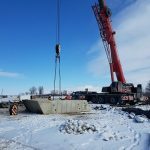 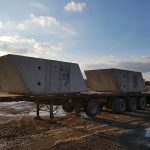 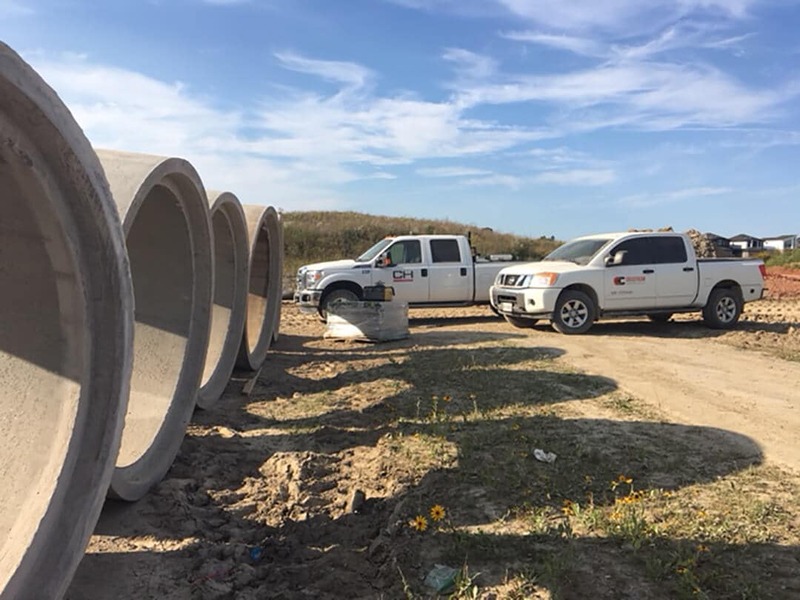 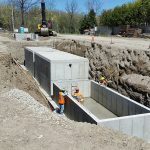 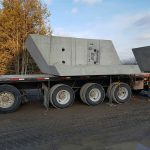 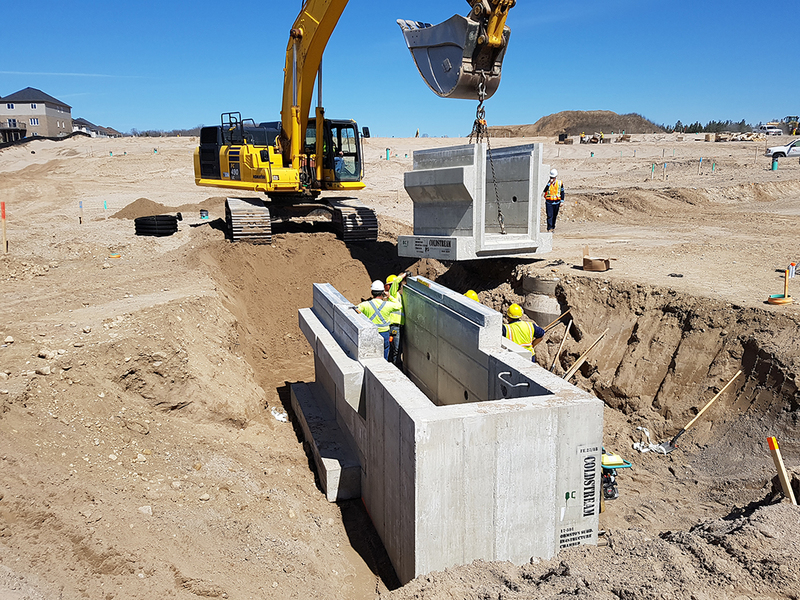 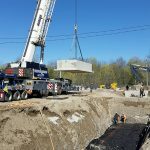 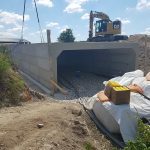 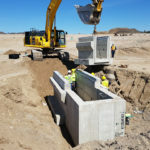 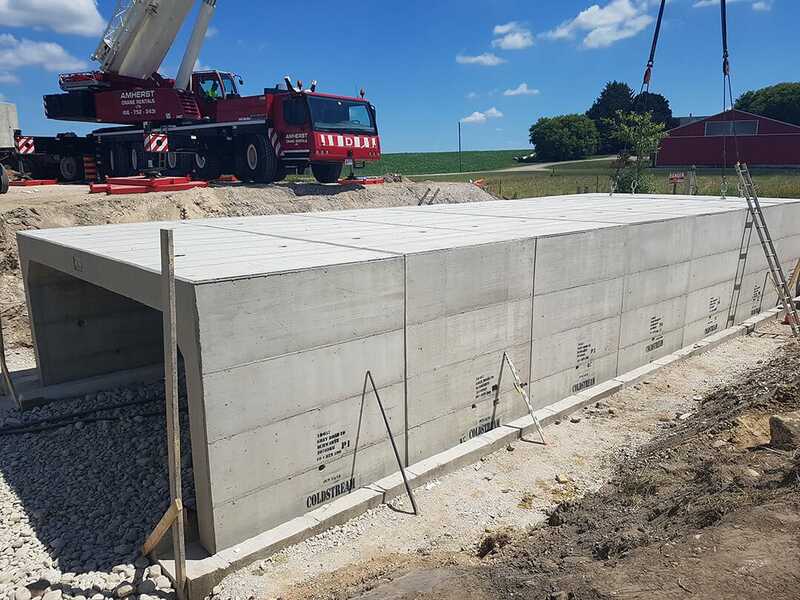 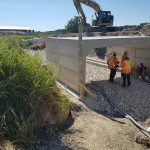 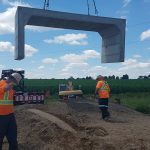 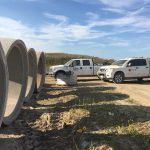 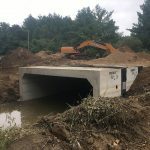 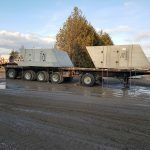 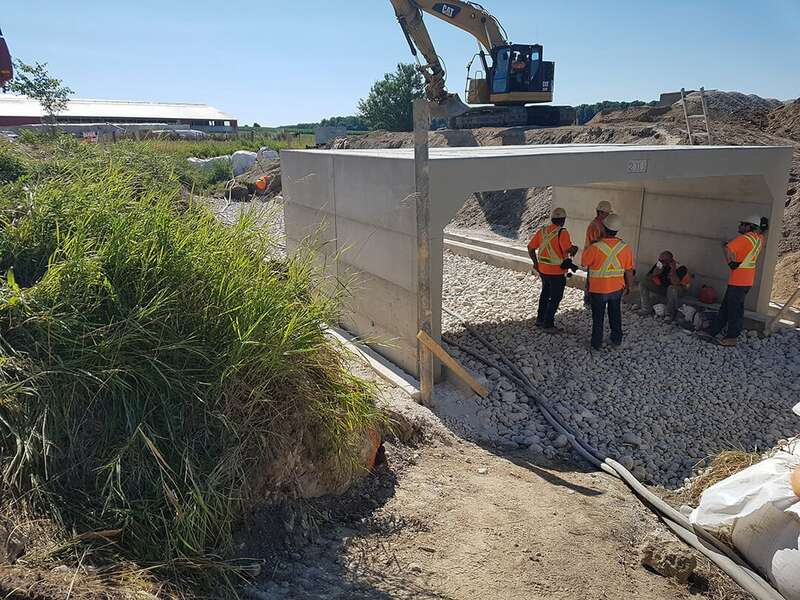 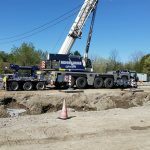 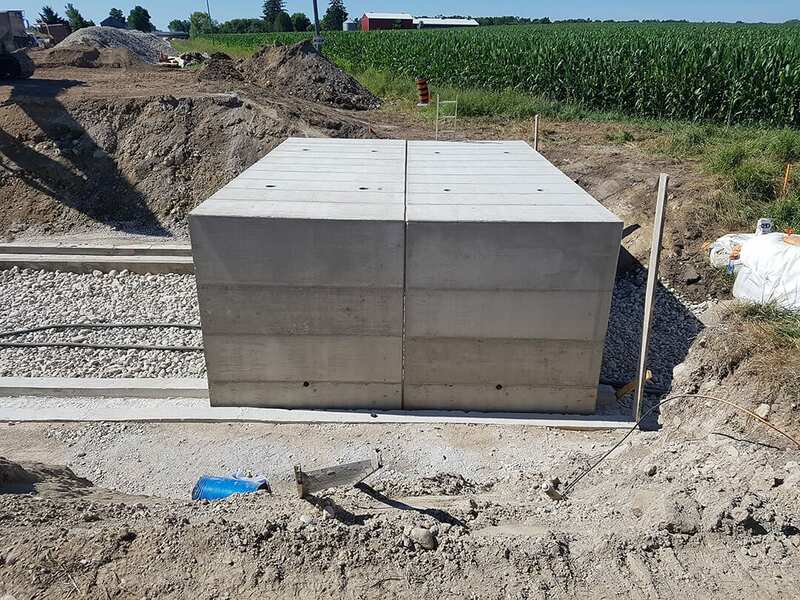 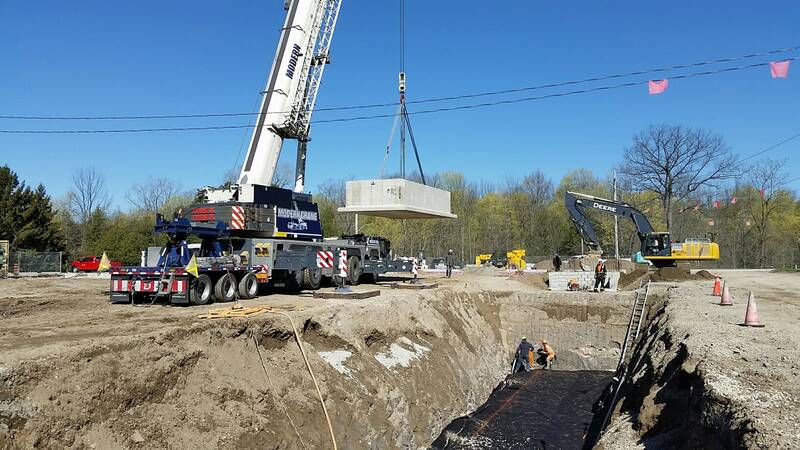 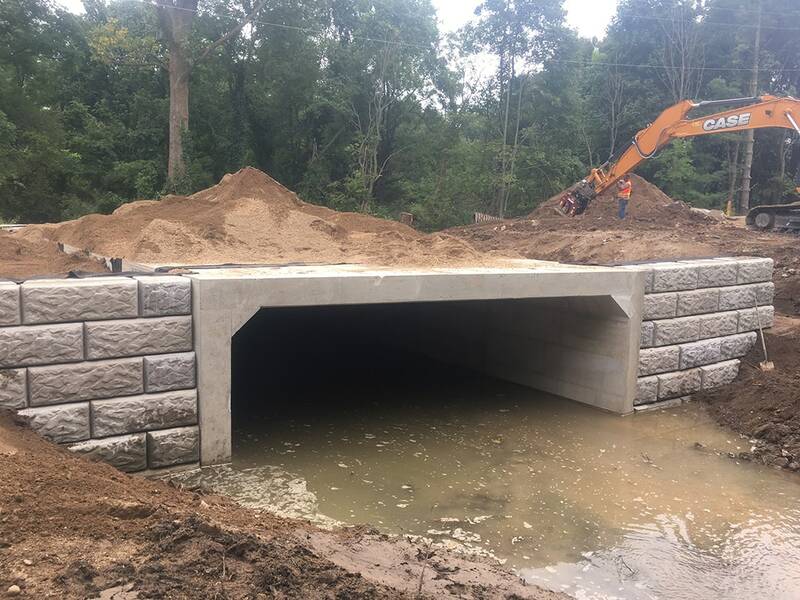 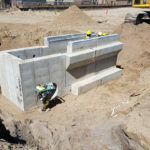 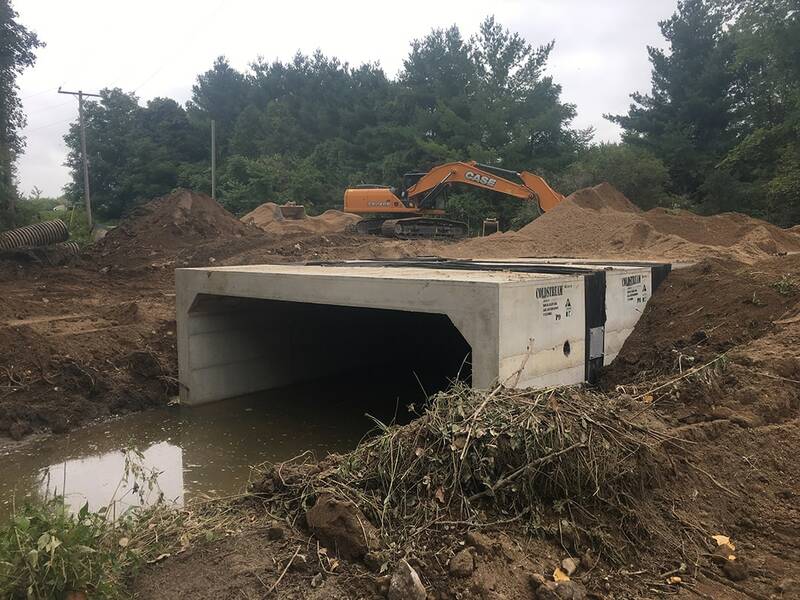 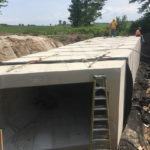 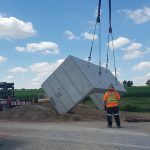 On June 19th 2018 Coldstream Concrete Ltd. supplied a ten-piece open-bottom precast concrete culvert to Wayne Schwartz Construction Ltd. (Miller Group) in Grey County, Ontario. 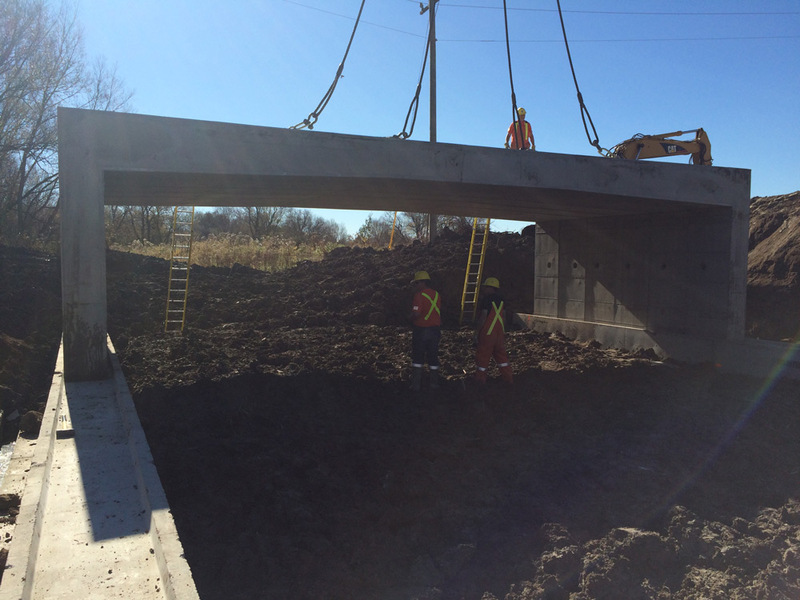 The culvert spans 5.5m and sits 2.5m tall. 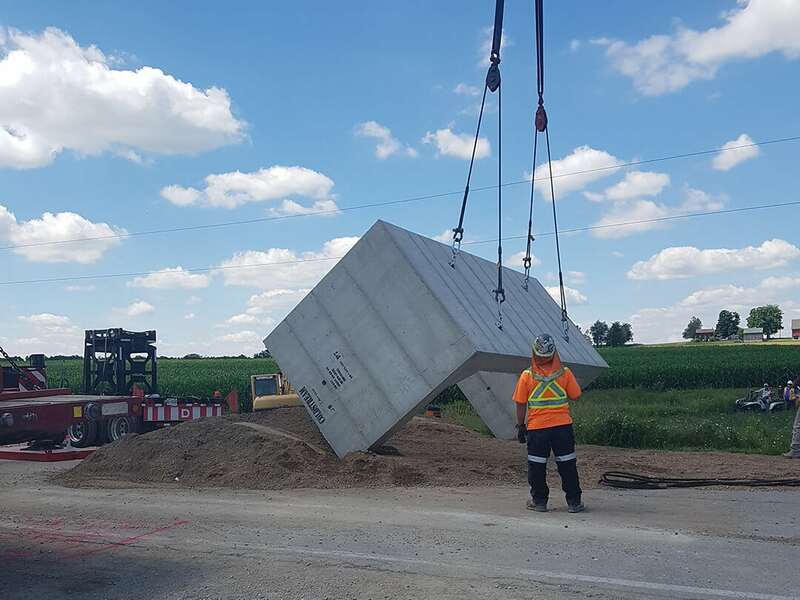 In typical precast fashion it was installed in less than one day, resulting in shorter road closure times for the public. 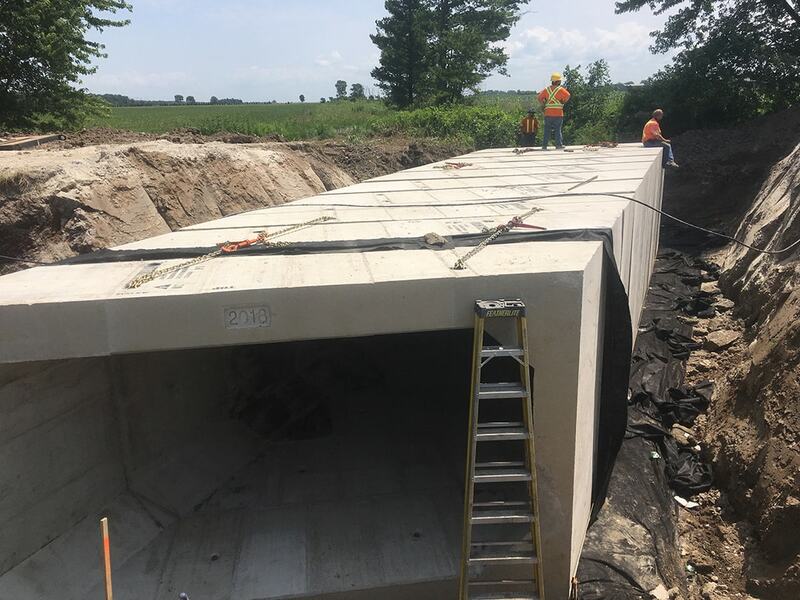 The second phase is set to be installed in mid August which includes a second precast culvert with similar properties of 10 + 590. 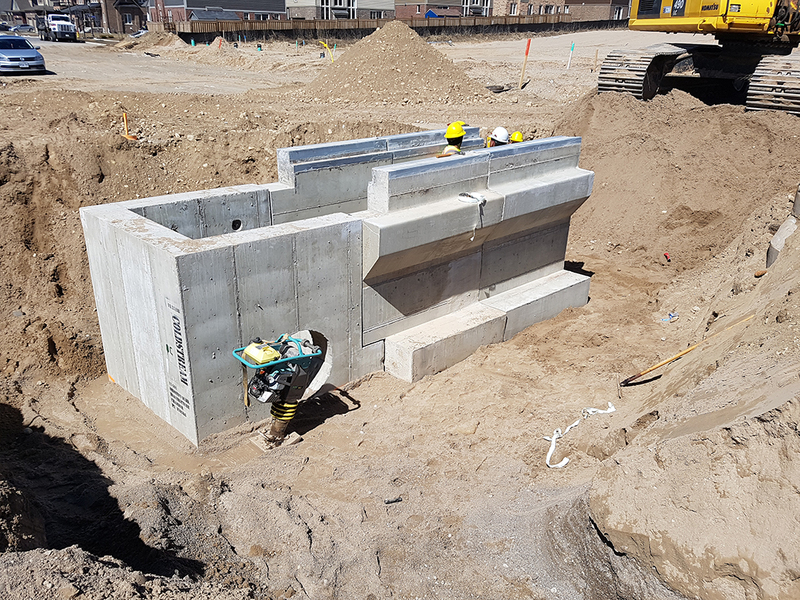 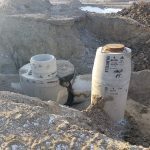 During the 2018 summer months, Coldstream Concrete Ltd. supplied custom heavy precast and underground site servicing products to the northeast corner of London, Ontario. 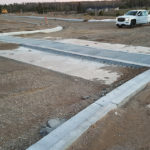 Phase one of this 25.4-hectare site backs onto the Thames river and will be home to over 130 detached residential lots. 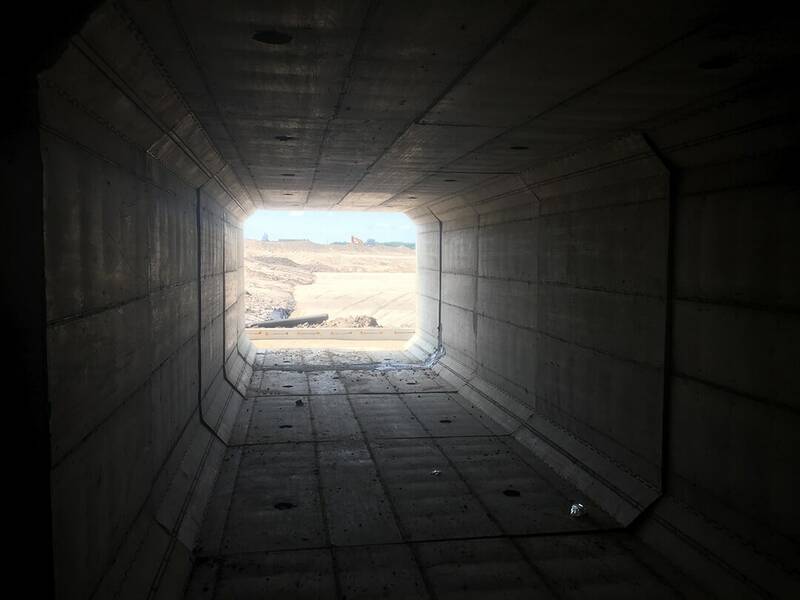 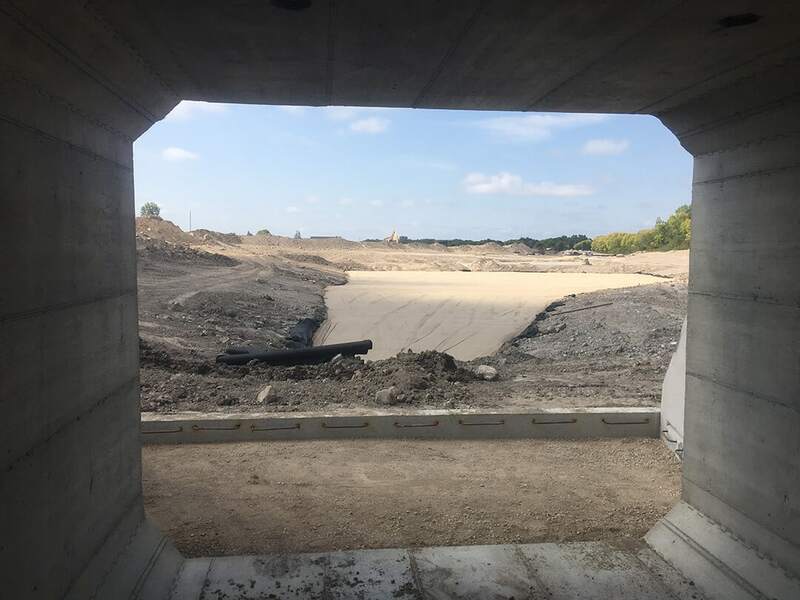 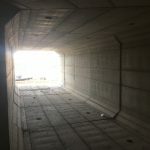 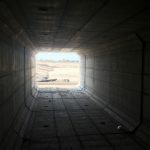 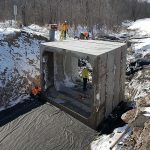 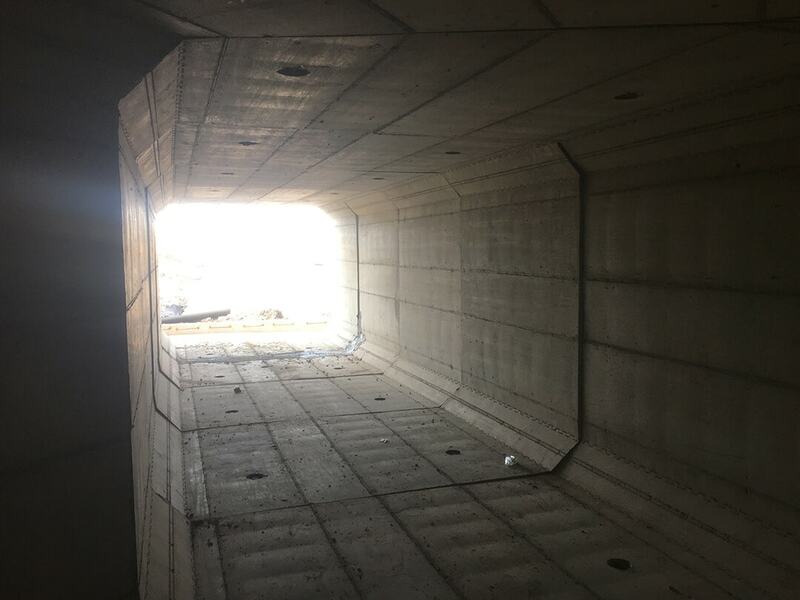 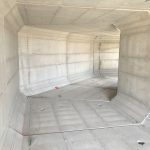 The SWM facility outlets into the Thames River and features a 31.5m precast concrete box culvert with a 90-degree bend, a precast three-sided, open-bottom culvert with footings, three precast headwalls and a custom precast outlet chamber. 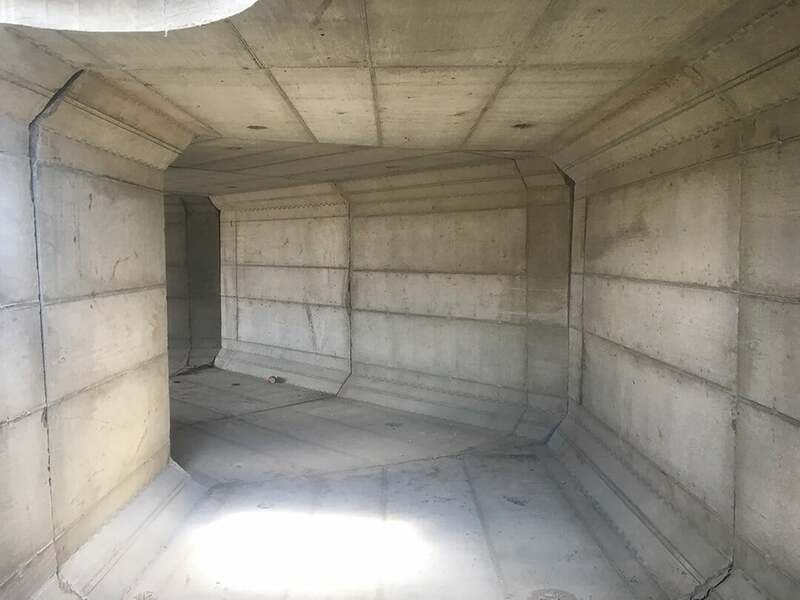 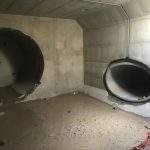 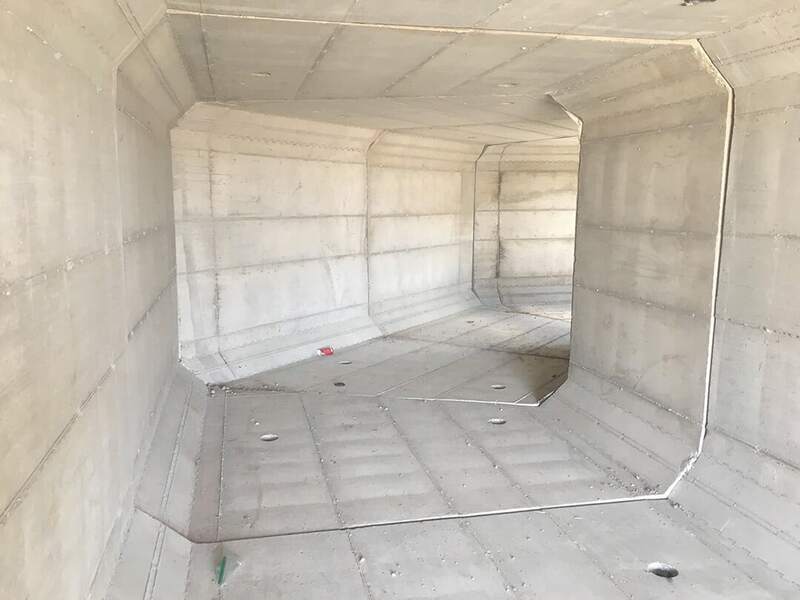 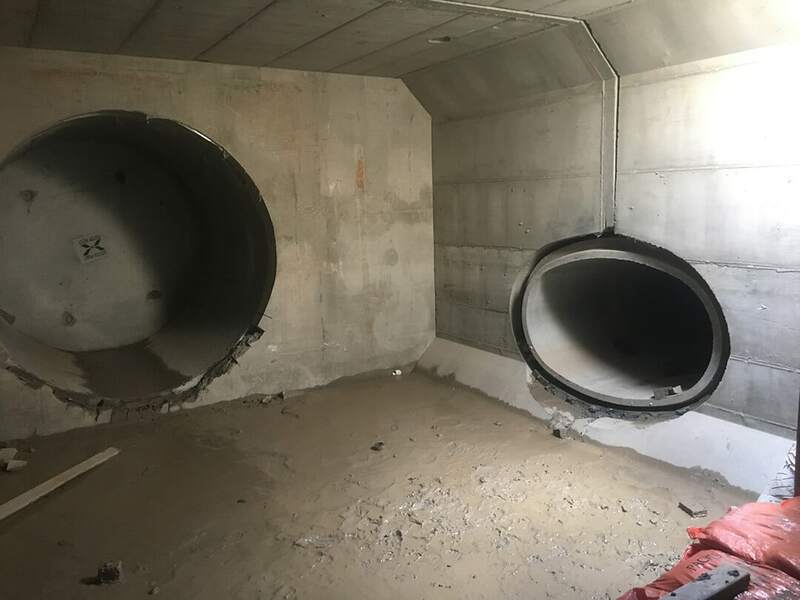 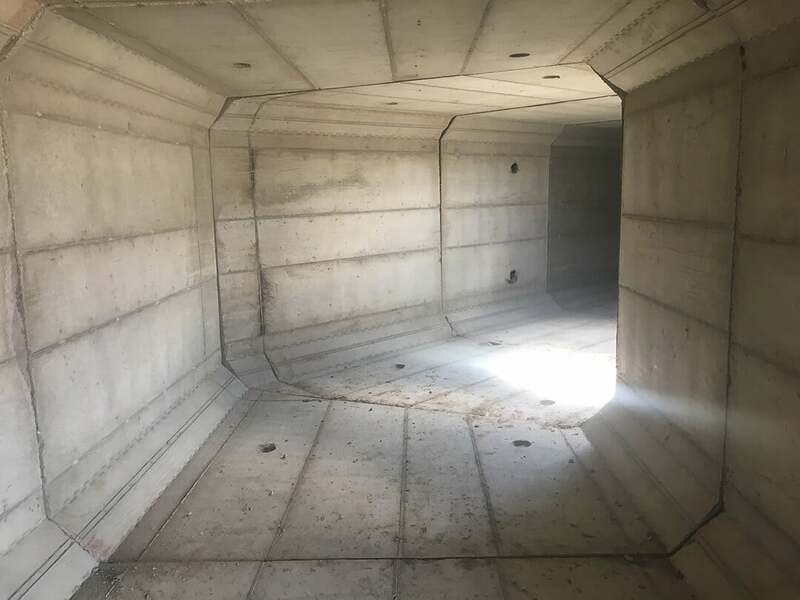 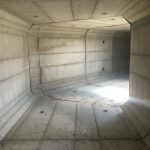 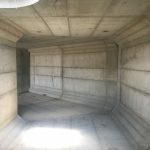 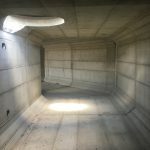 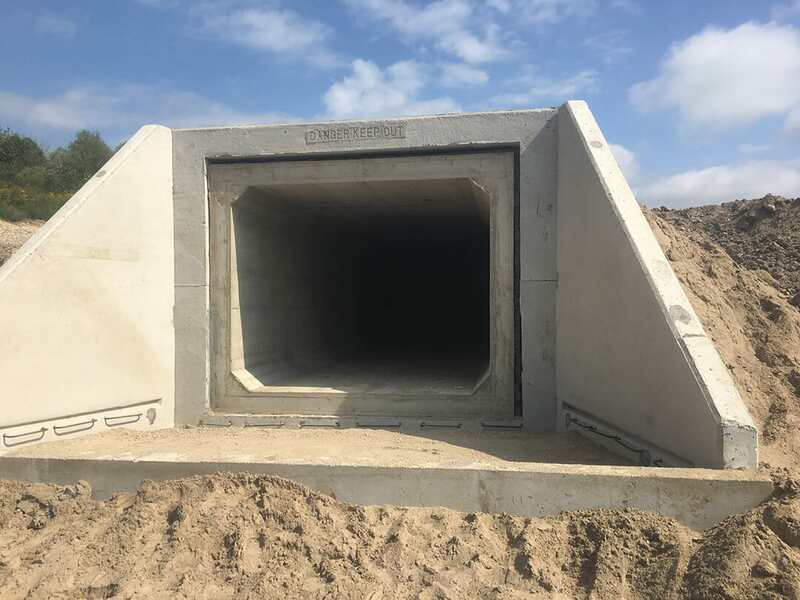 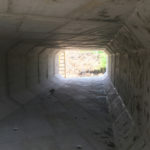 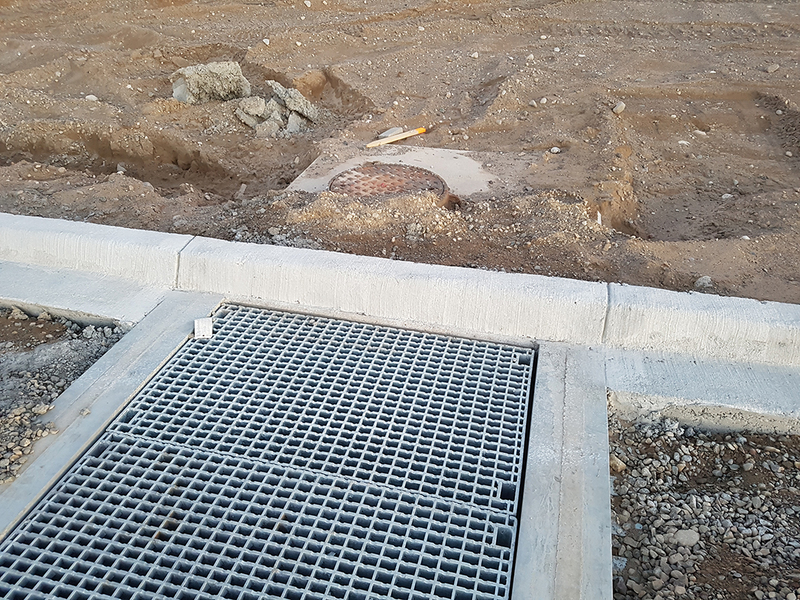 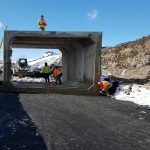 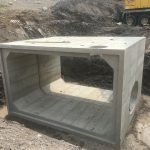 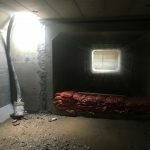 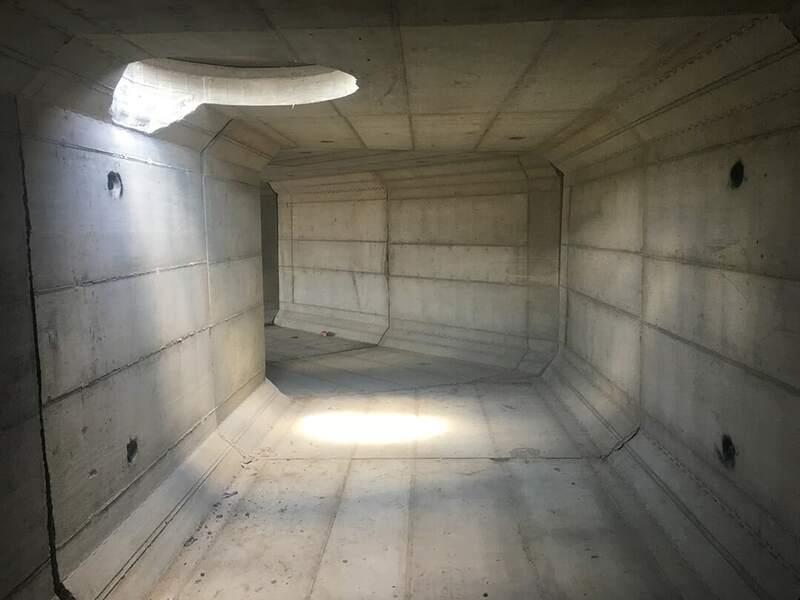 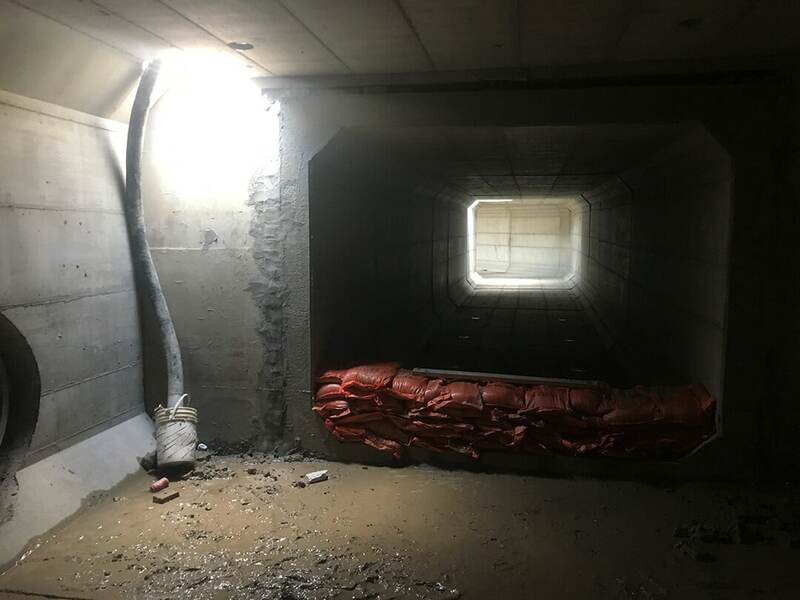 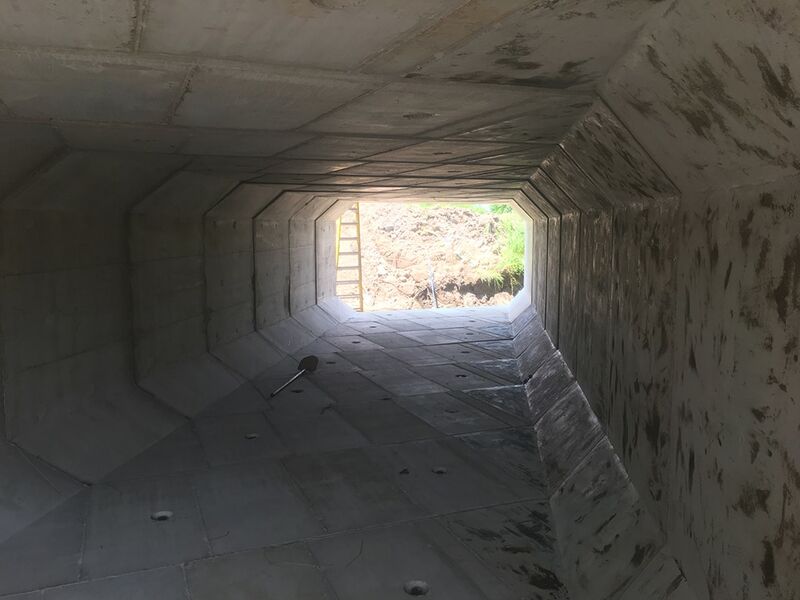 This chamber spans 5.3m x 4.8m x 3.0m deep and transfers water flow from a 2400mm diameter precast pipe + 1095mm x 1730mm elliptical pipe into a 3.0m x 2.4m box culvert outlet. 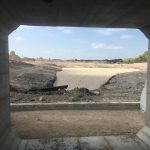 When driving down Highbury Avenue North take a look at the development. 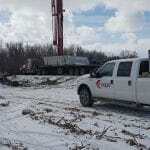 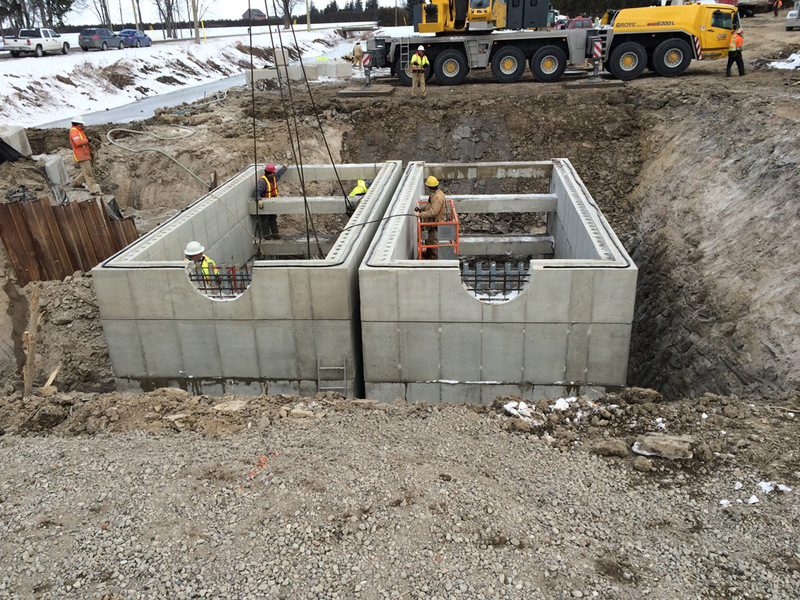 Aarcon Excavating and Modern Crane placed and backfilled all three tanks in two days. To avoid flotation issues Coldstream Concrete cast these tanks with oversized mono bases in lieu of a cast-in-place slab that was originally specified. 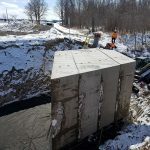 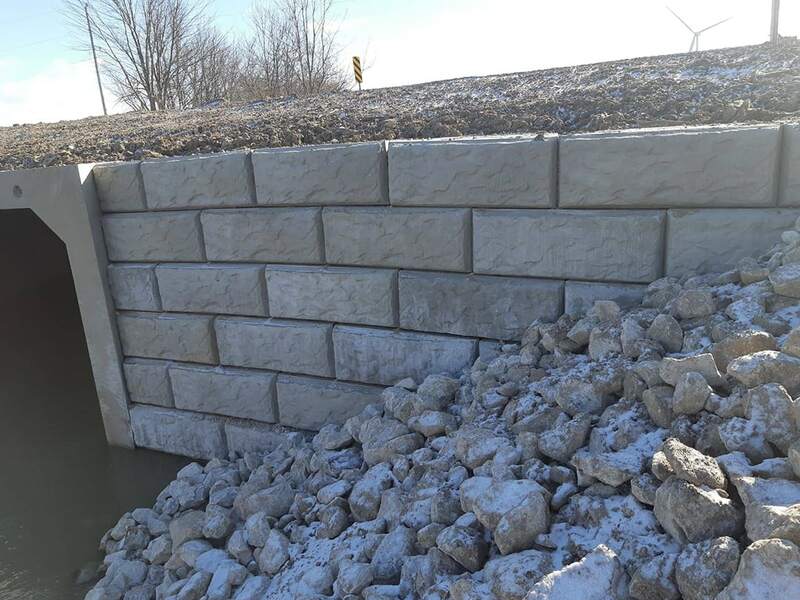 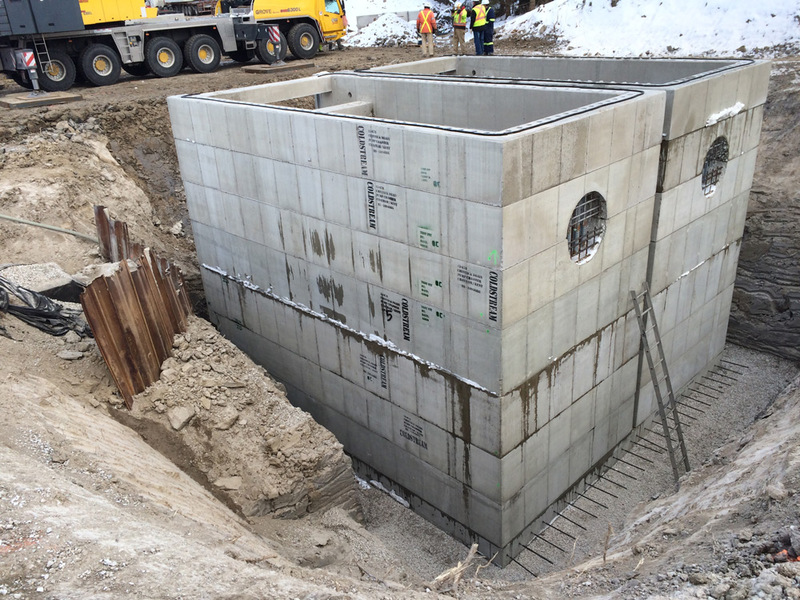 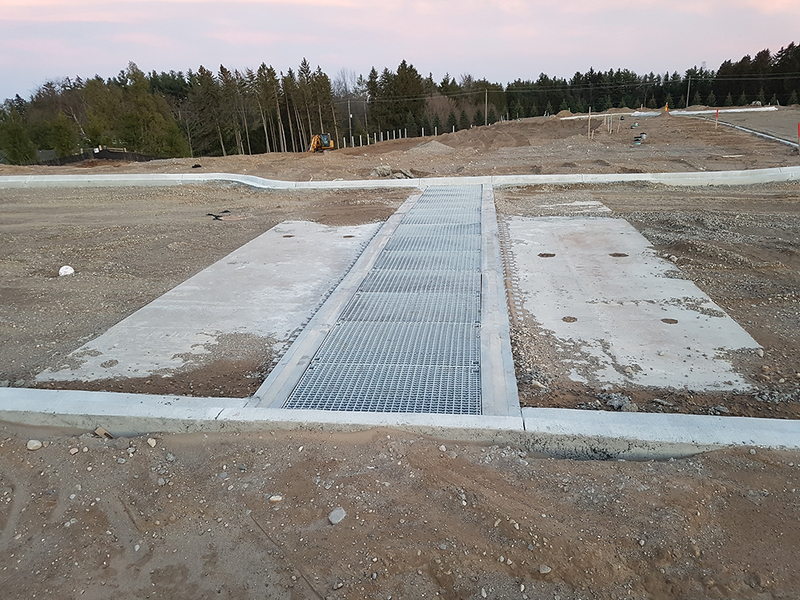 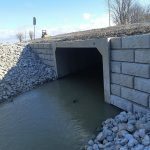 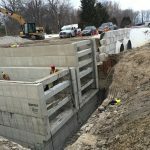 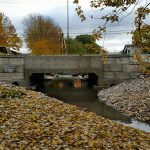 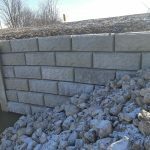 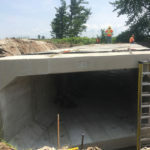 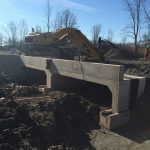 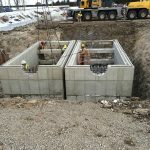 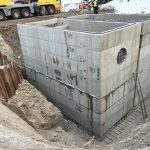 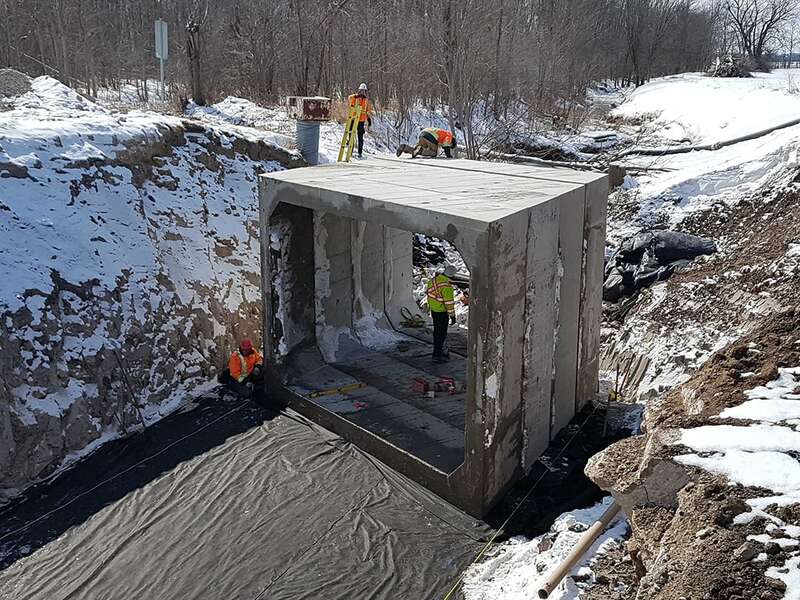 On November 3, 2016, Coldstream Concrete Ltd. supplied the second half of this three-sided open-bottom culvert to the town of Aylmer in Elgin County. 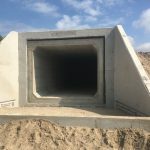 The culvert spans 6.0 metres wide and is a low earth cover design. 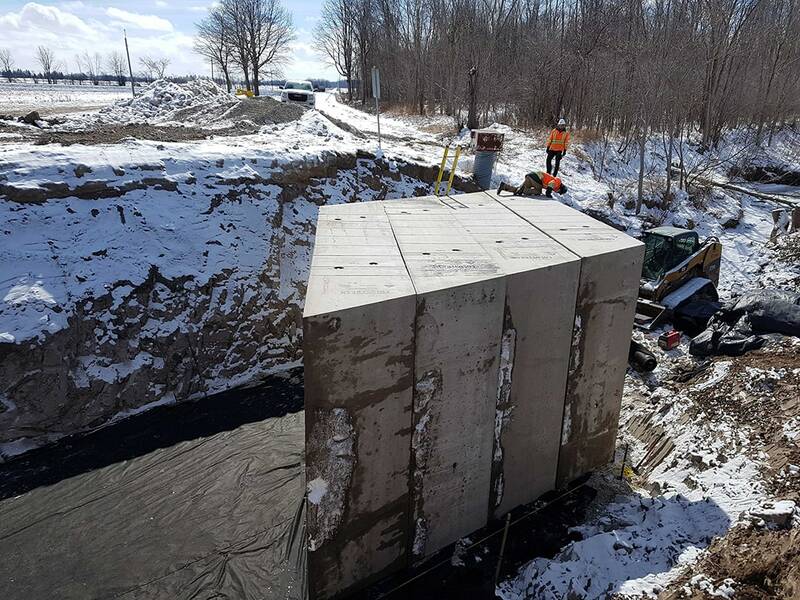 Due to existing hydro conduits three of the culvert pieces had to be “skated” into position after they were lowered into the excavation. 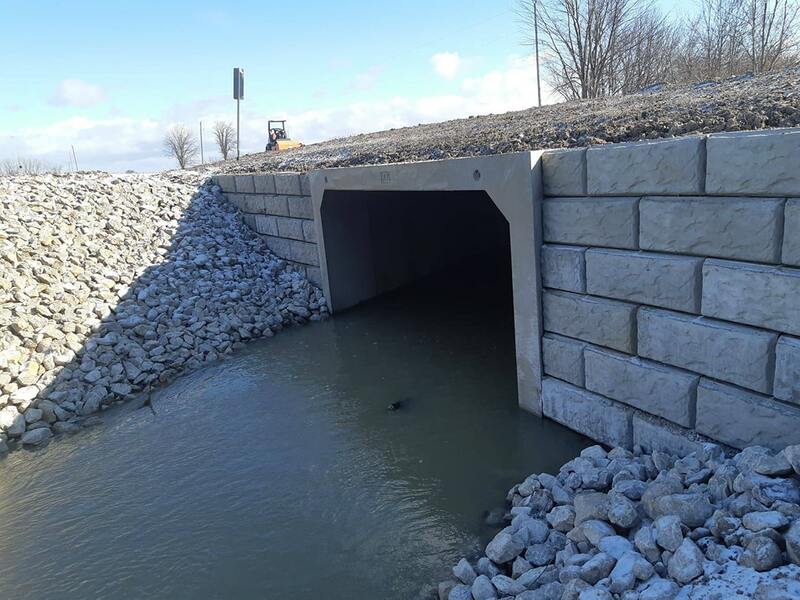 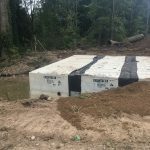 Gary D. Robinson Contracting installed the precast footings and culvert pieces, ensuring minimal disturbance to the waterway. 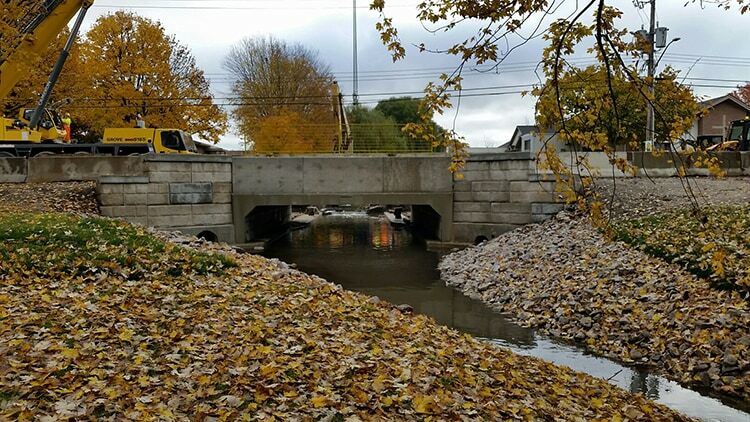 The finished product can be viewed just south of Fath Avenue and John St. South.